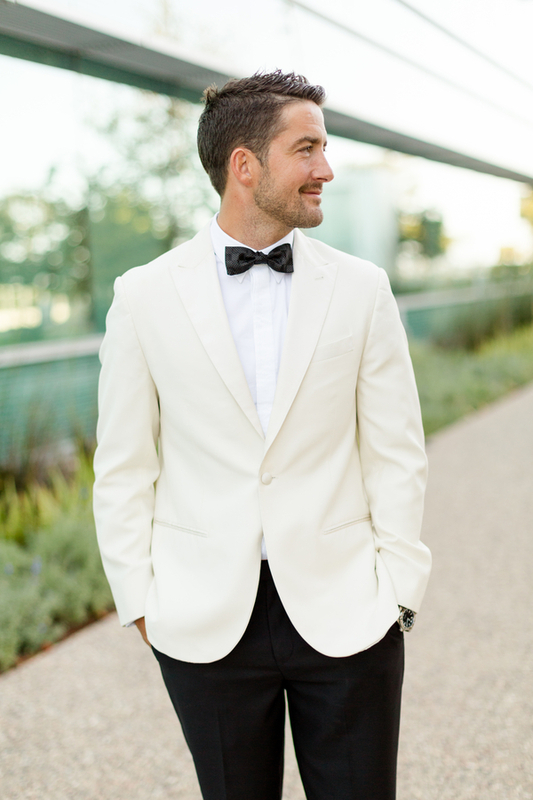 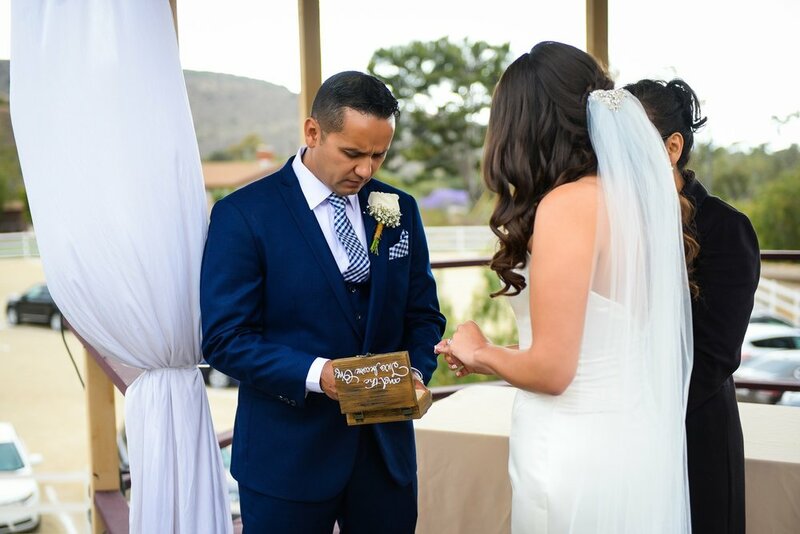 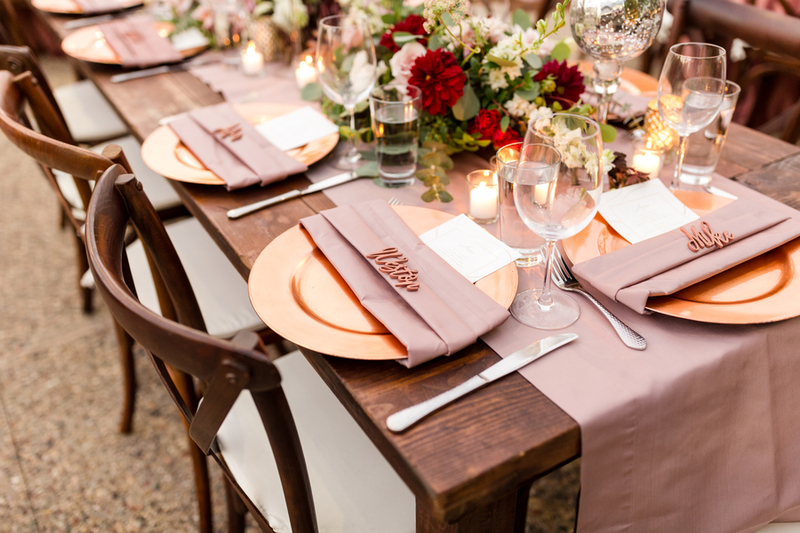 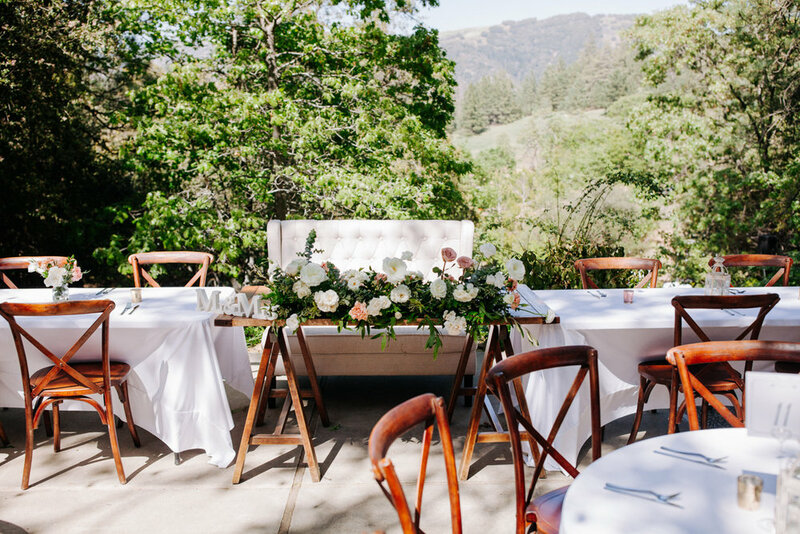 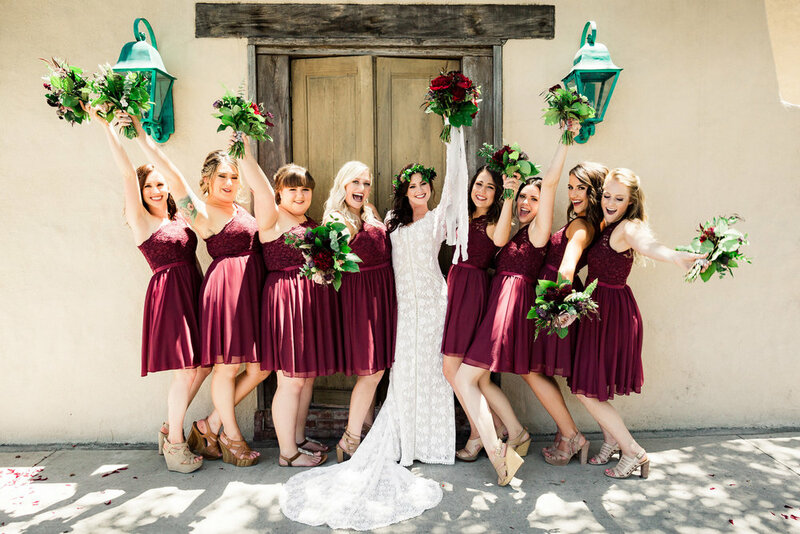 San Diego Mountain Wedding in Julian Celebrates Charm, Amazing Views and Pie! 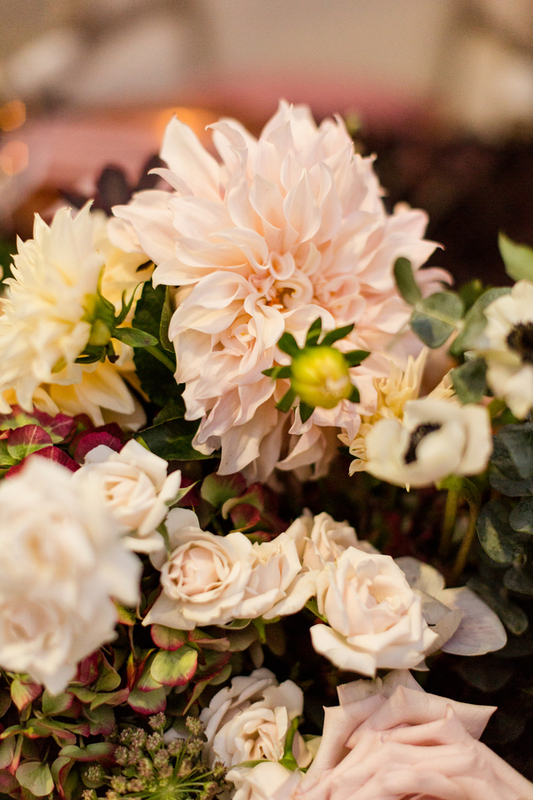 Here comes the slight sweet clear feeling in the air that say Fall is coming! 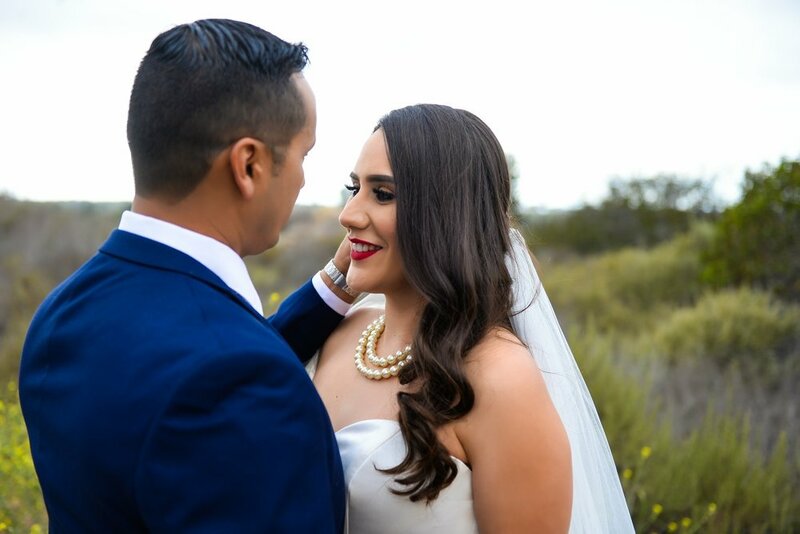 This is the time where San Diegans’ hearts and minds travel east to Julian for crispy evenings, beautiful mountain vistas, and, of course, pie! 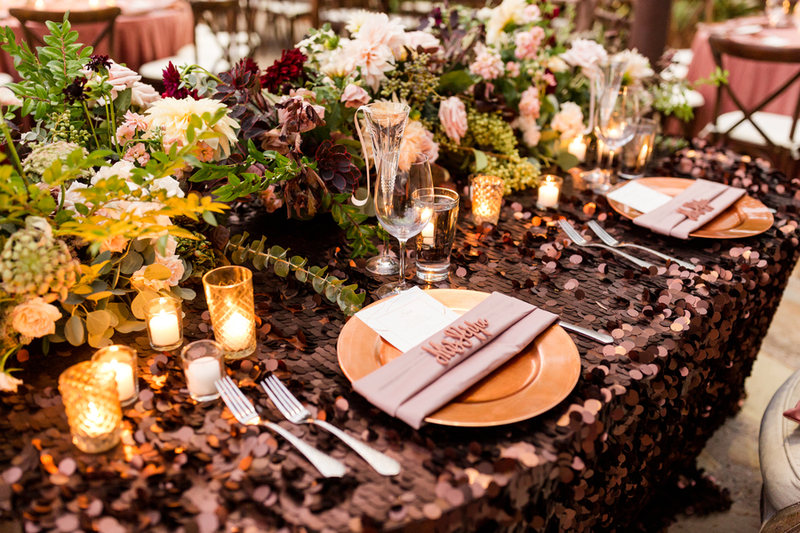 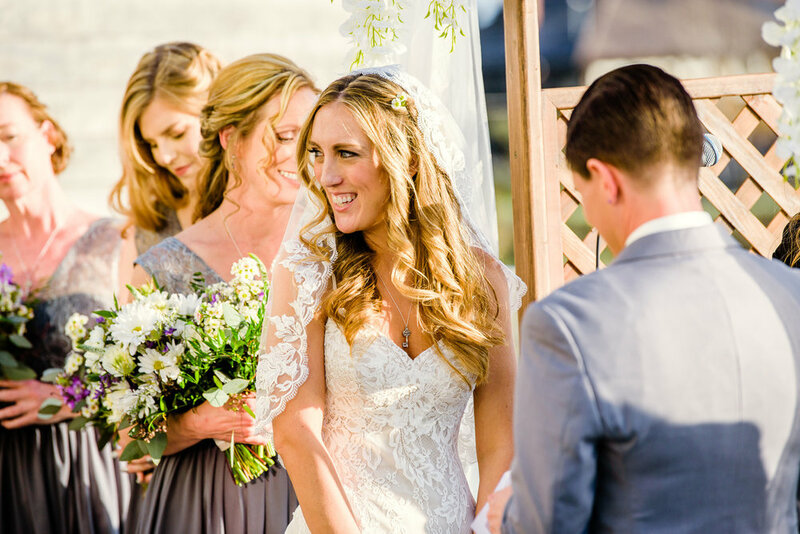 Today to celebrate the beginning of Fall you need not make the trek to the mountains as we show off this utterly charming Julian wedding! 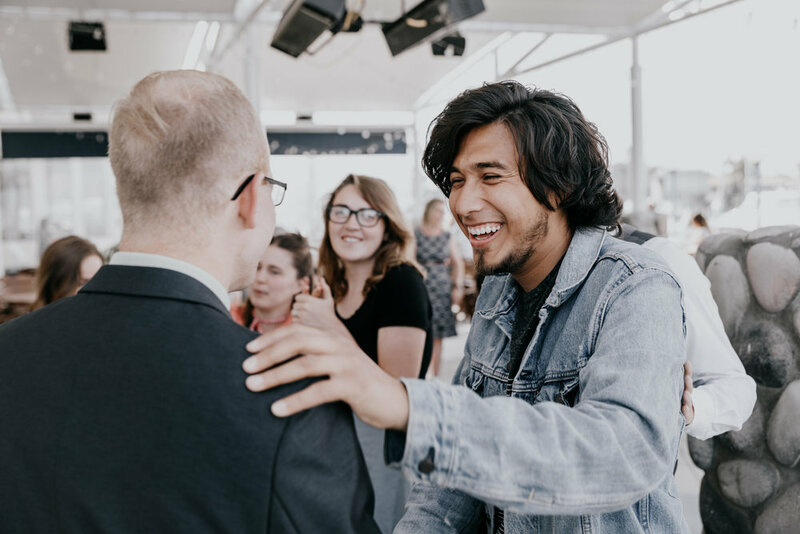 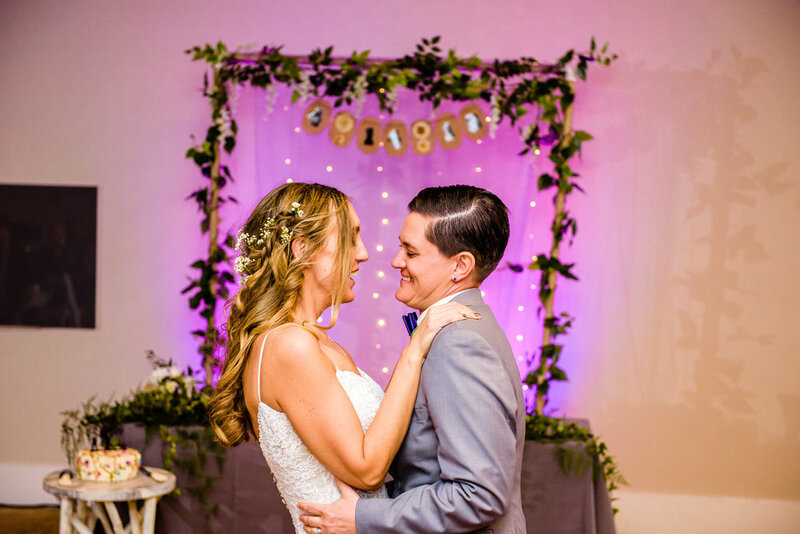 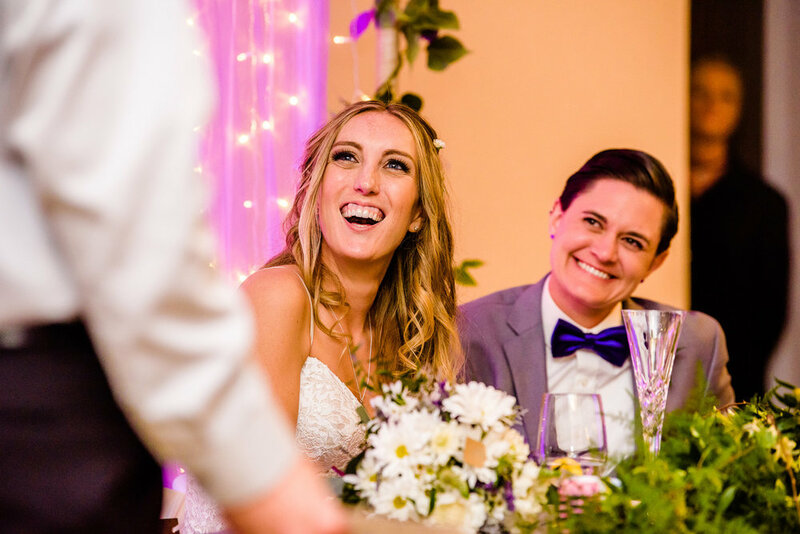 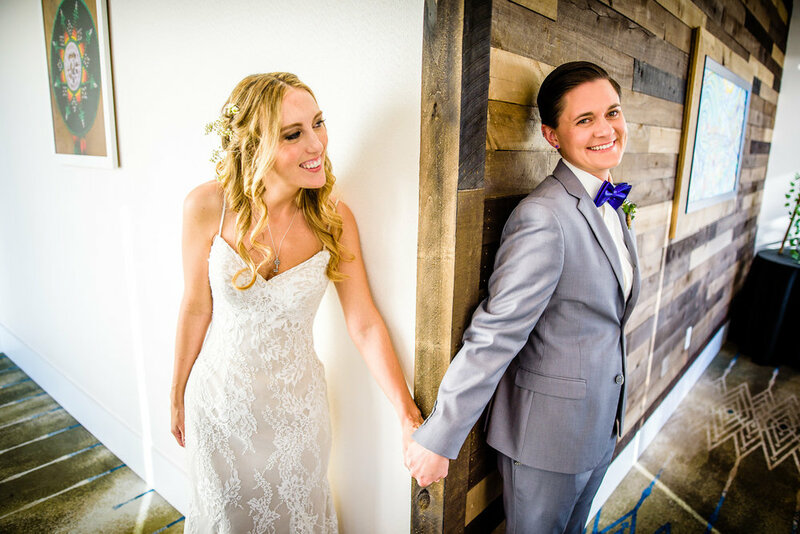 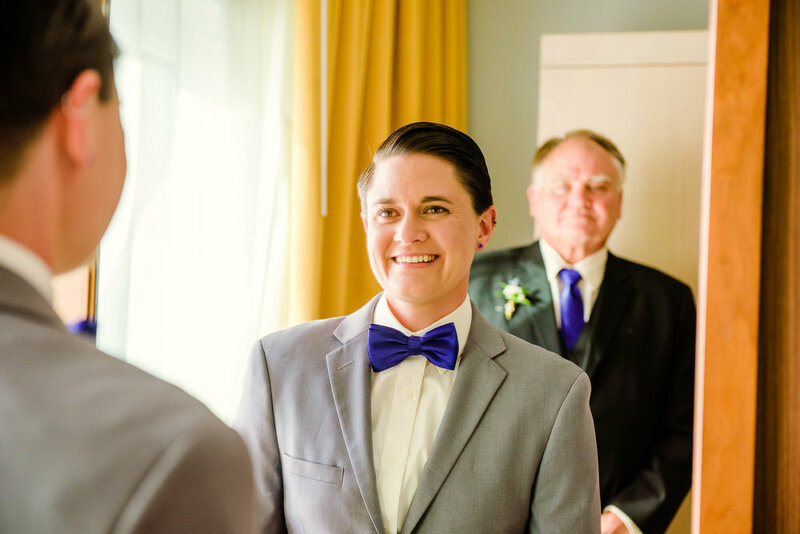 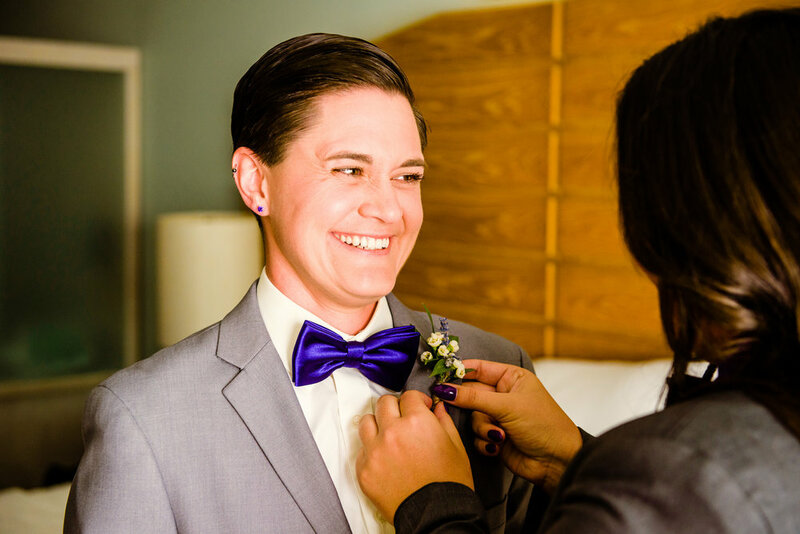 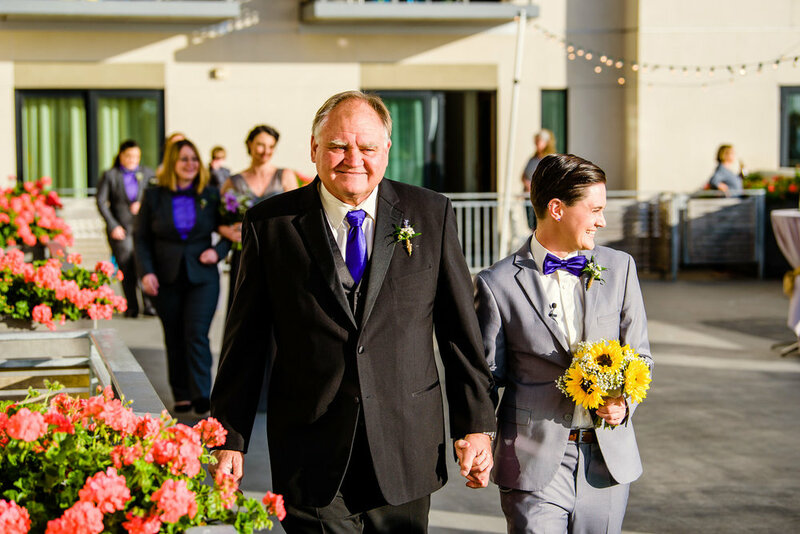 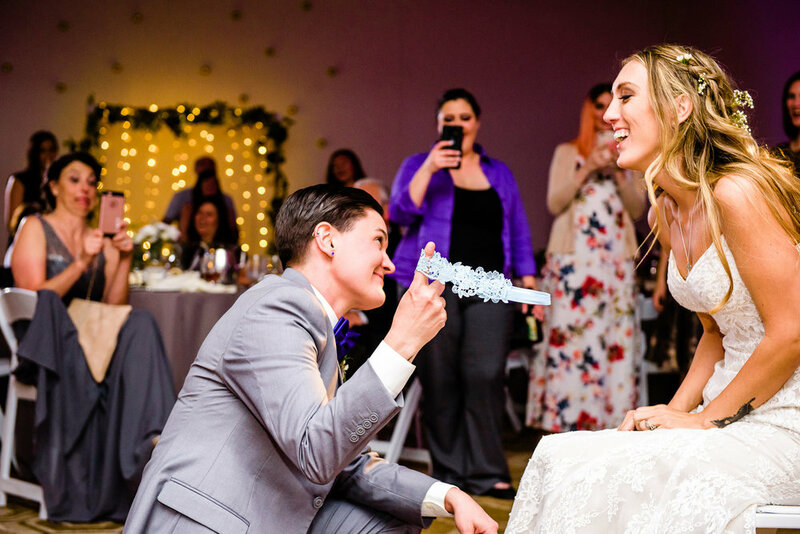 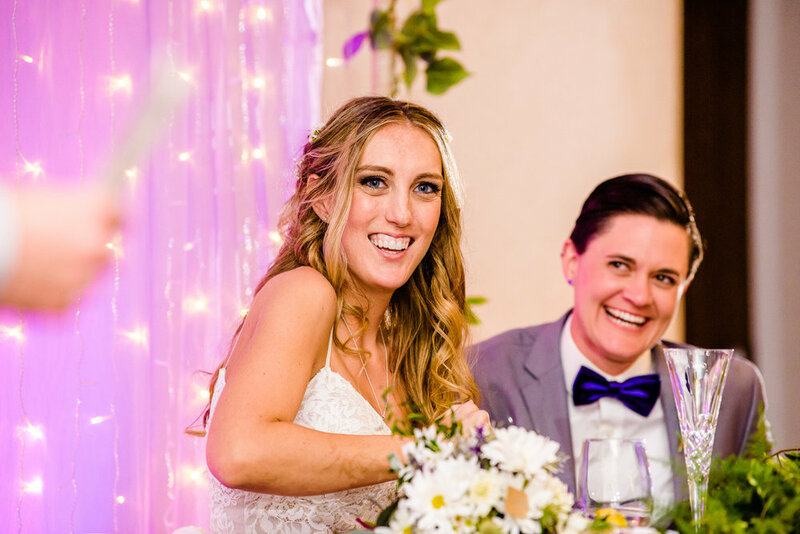 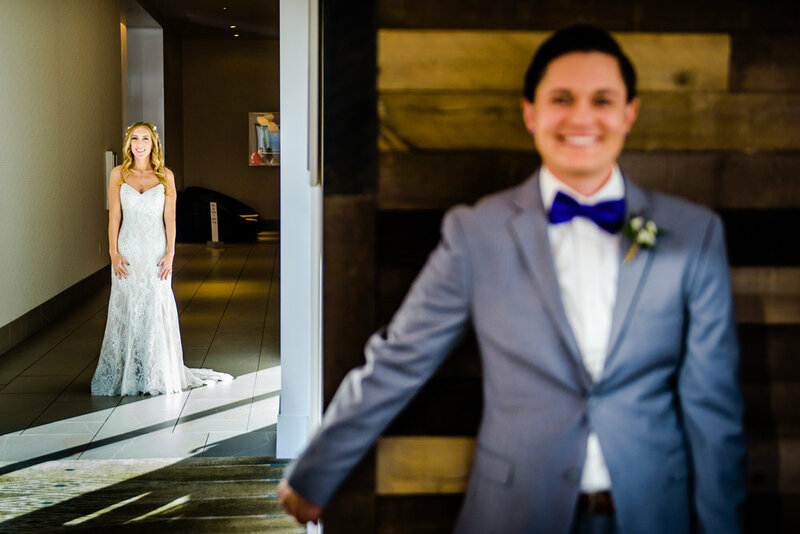 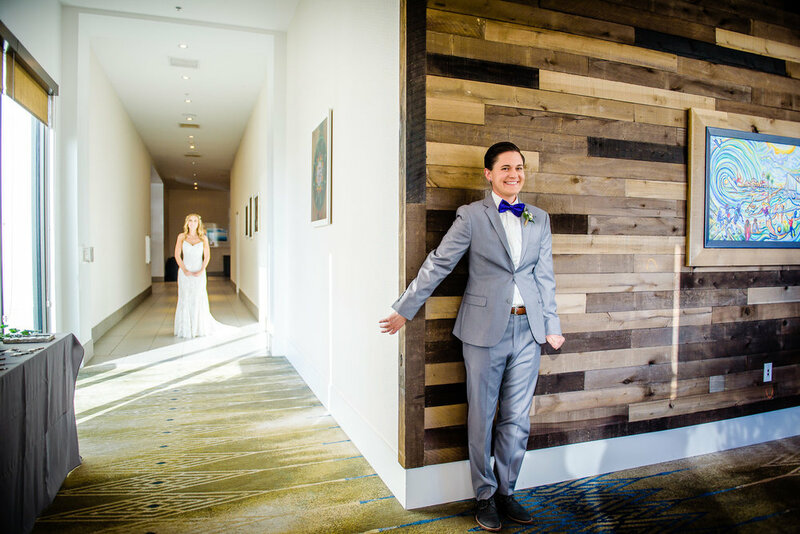 Allee and Taylor met at college orientation when they were freshmen at California Polytechnic-San Luis Obispo, and as graduation neared, the couple knew they were meant to be together. 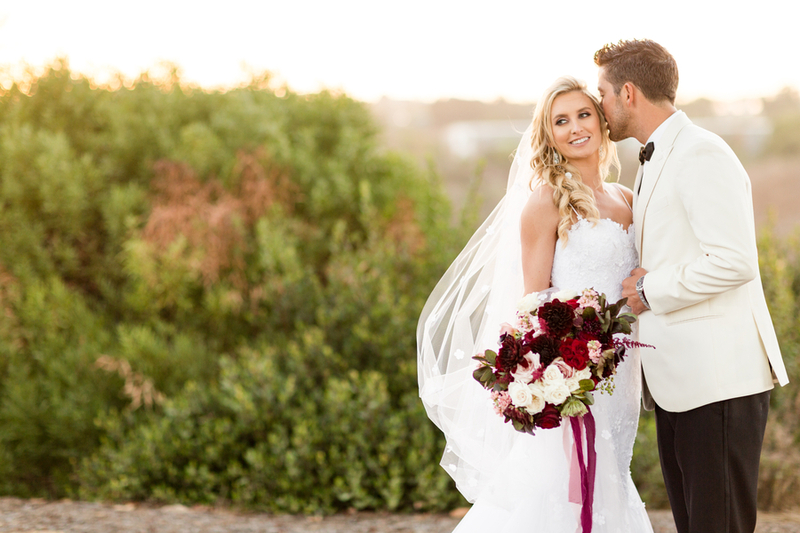 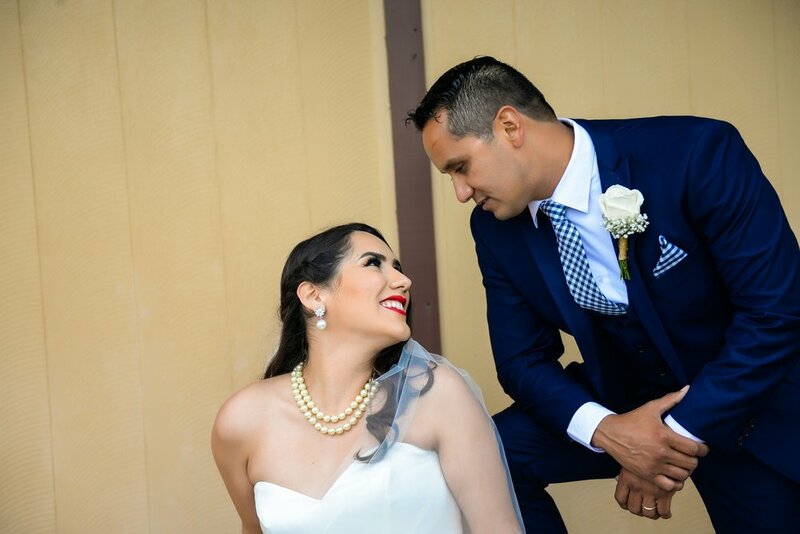 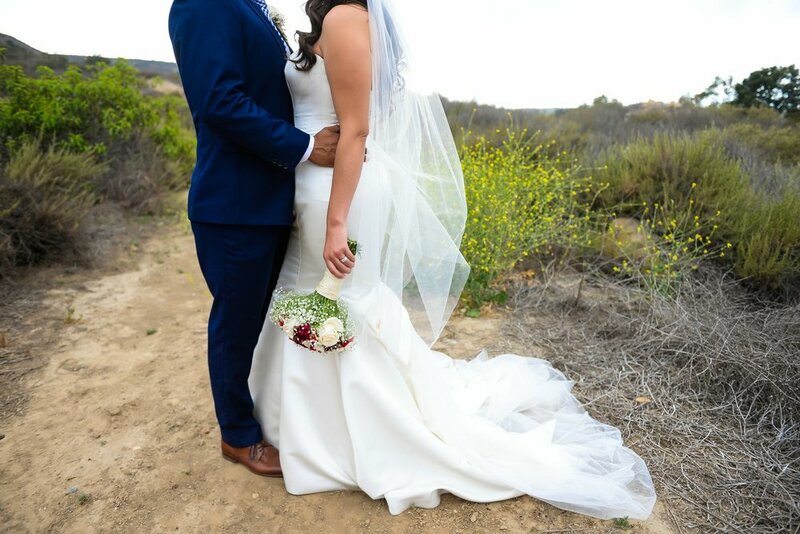 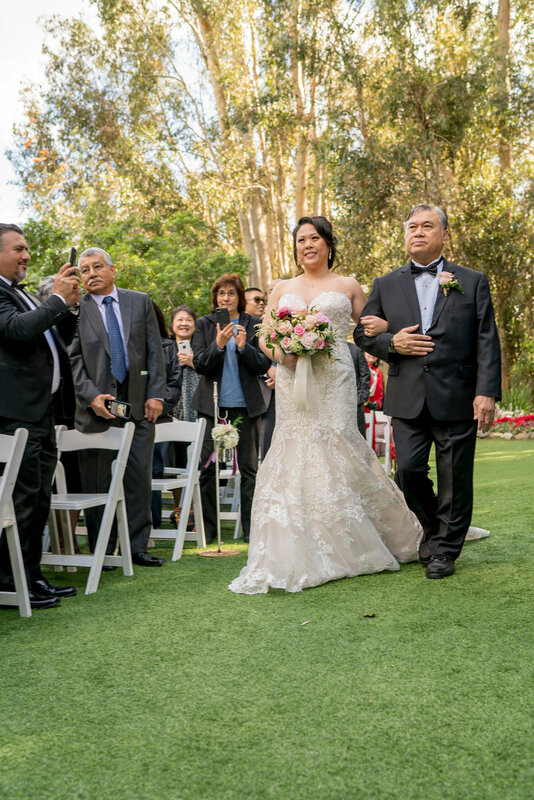 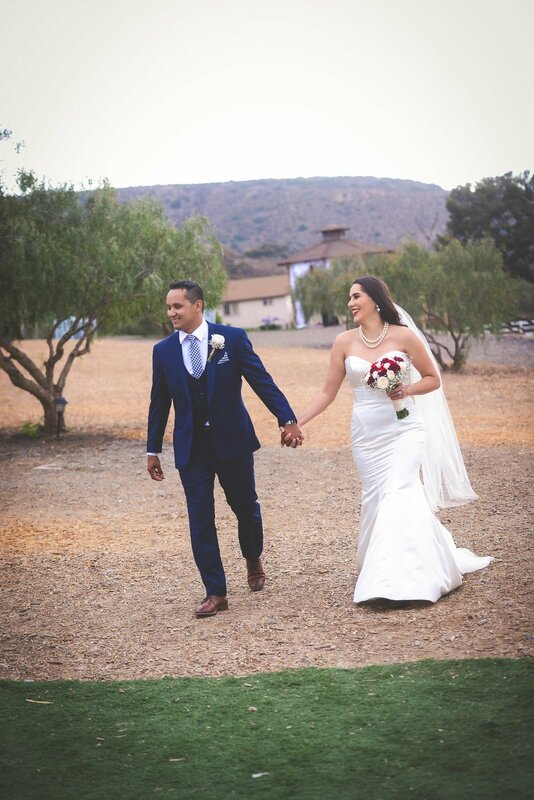 So when they married in April, they chose a location in the mountains east of San Diego, reminiscent of the mountainous Lake Tahoe area where Allee grew up. 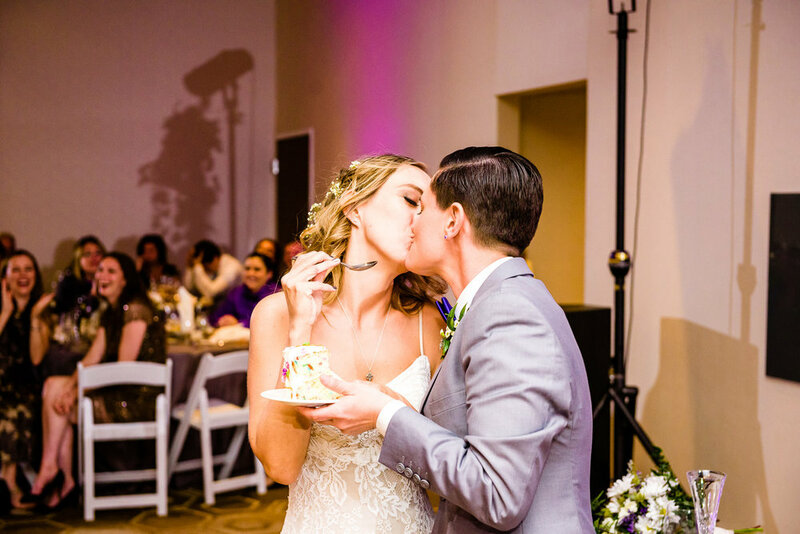 Among their favorite memories of their wedding day were reading their vows, which ended up being almost the same in wording even though the couple didn’t discuss them beforehand, and when Taylor got a little flustered after cutting the wedding pie, Allee shares that he ate her piece by mistake! 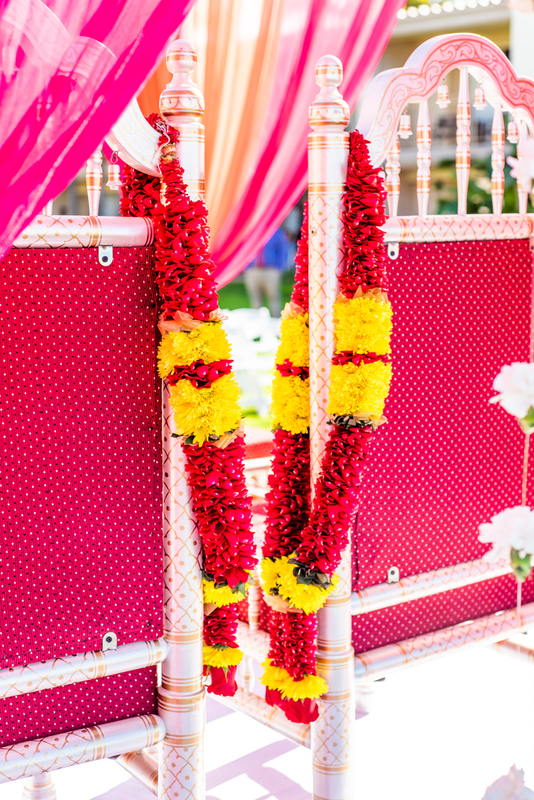 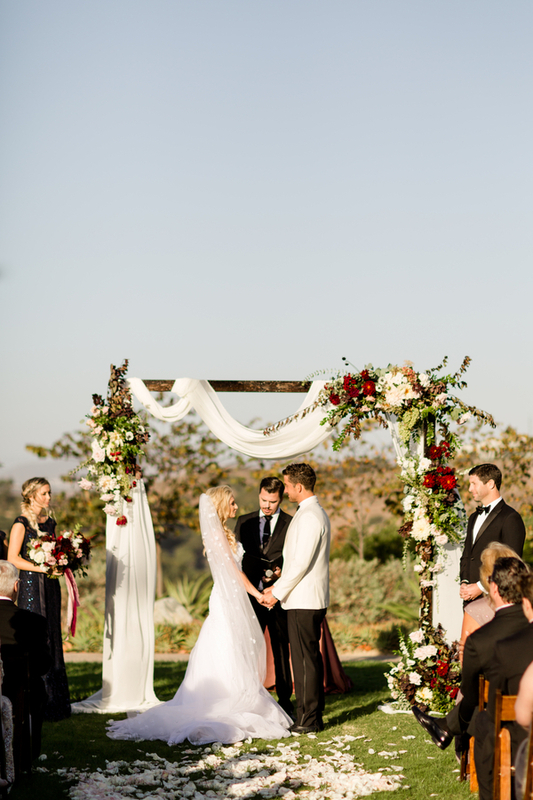 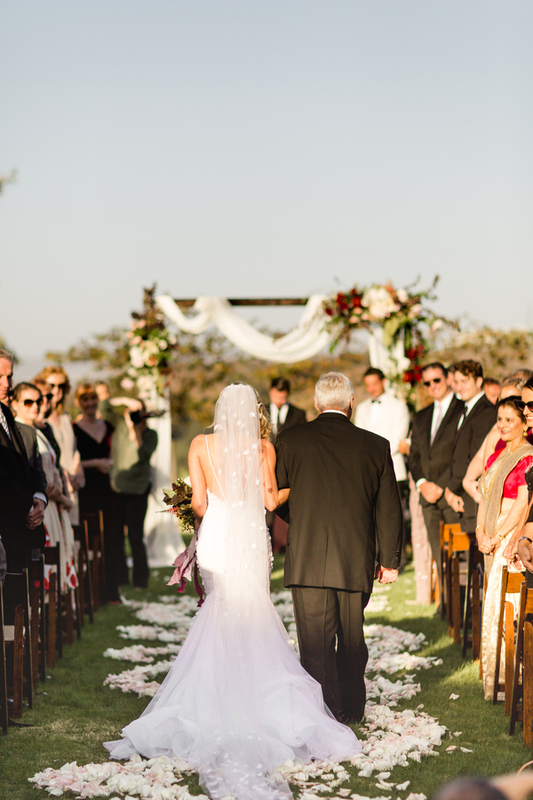 They also loved their circle arch, beautifully decorated by their florist. 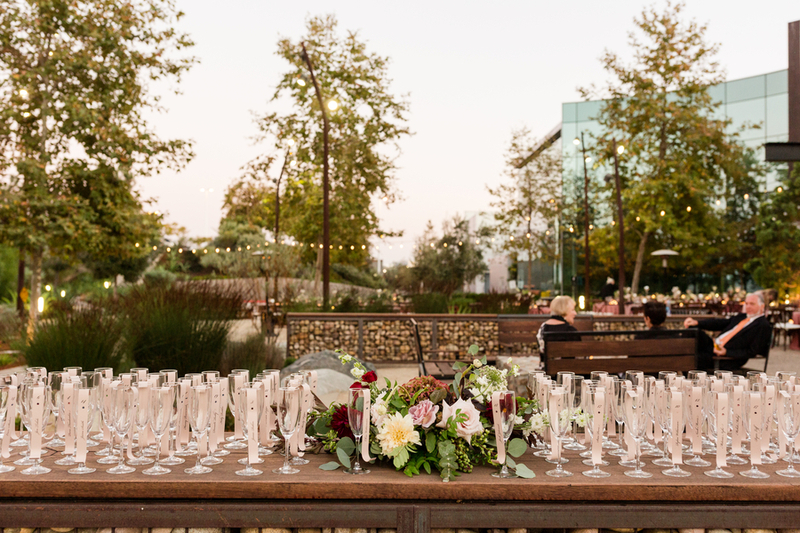 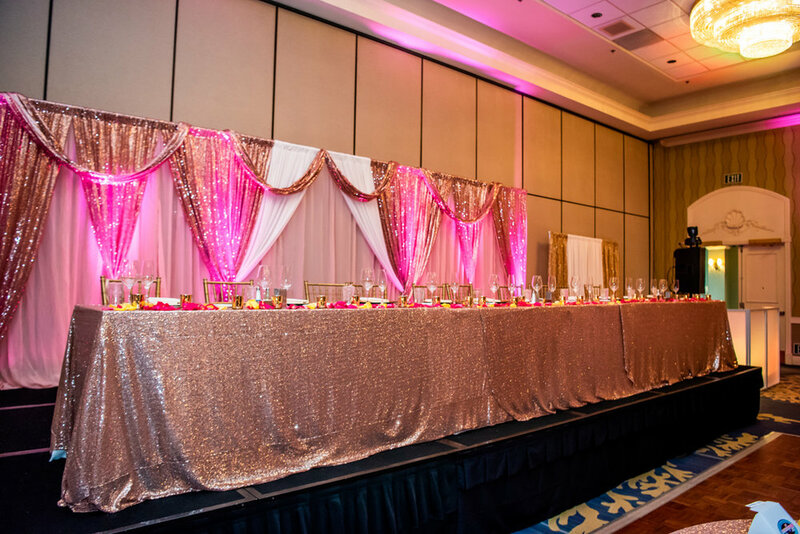 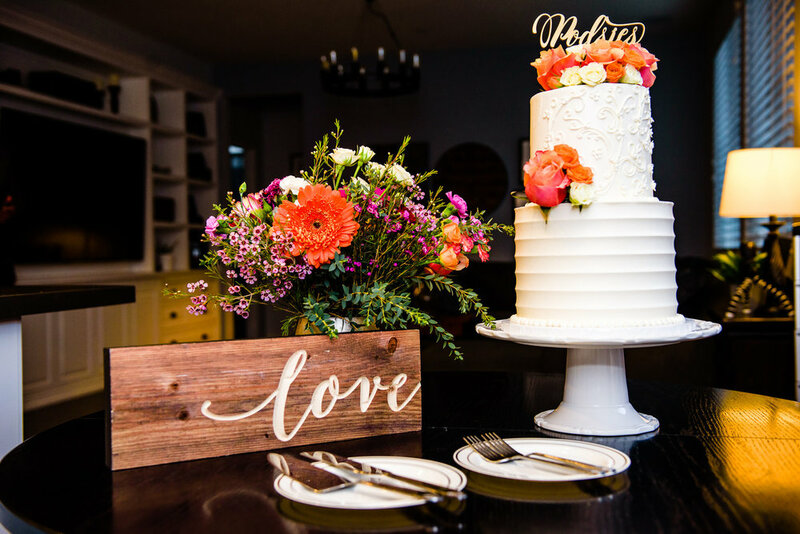 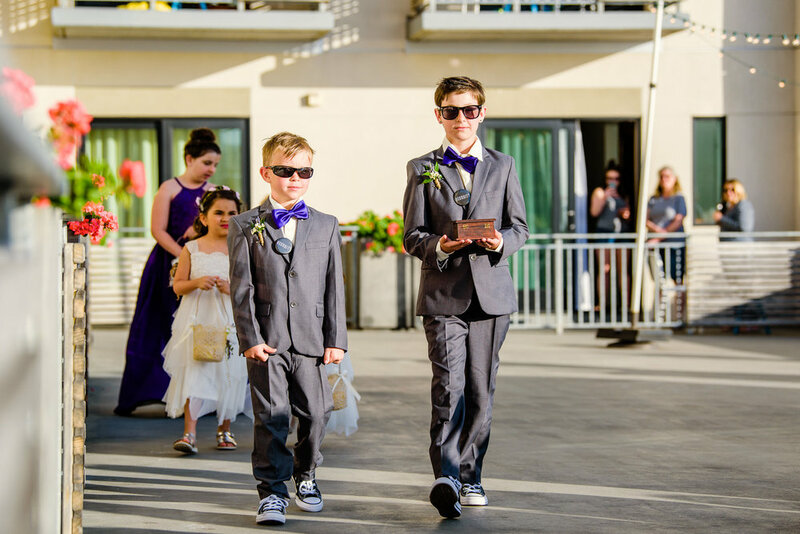 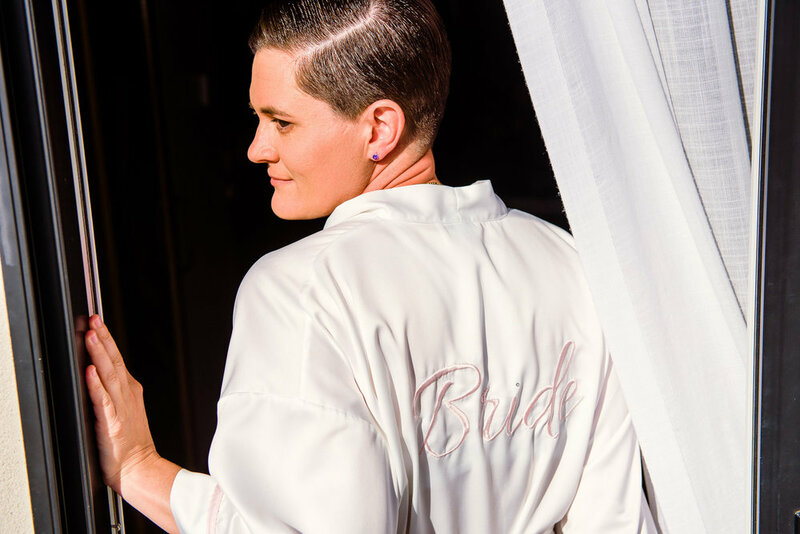 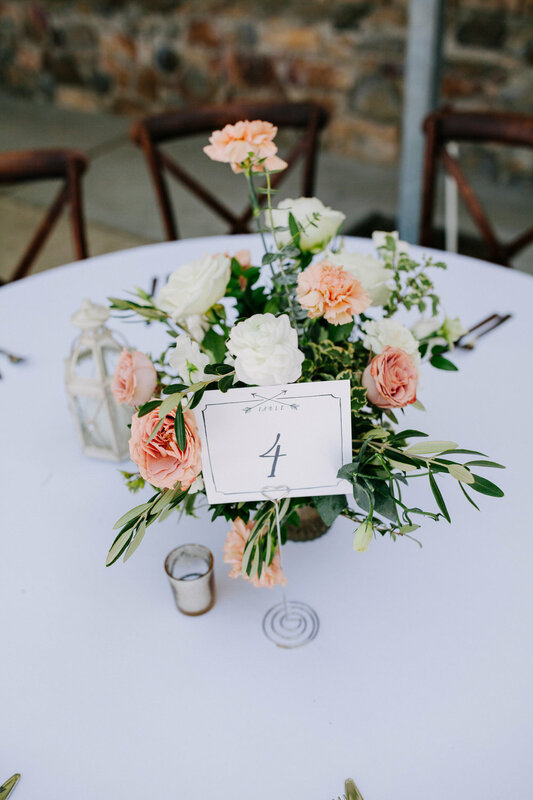 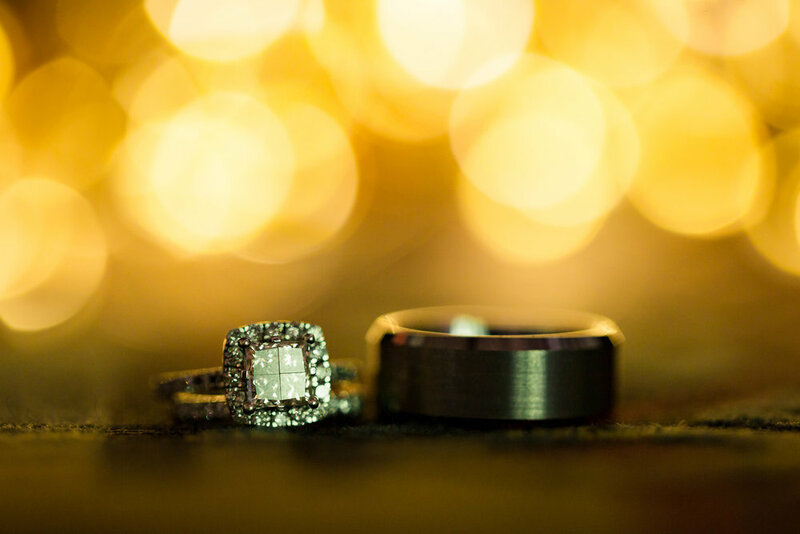 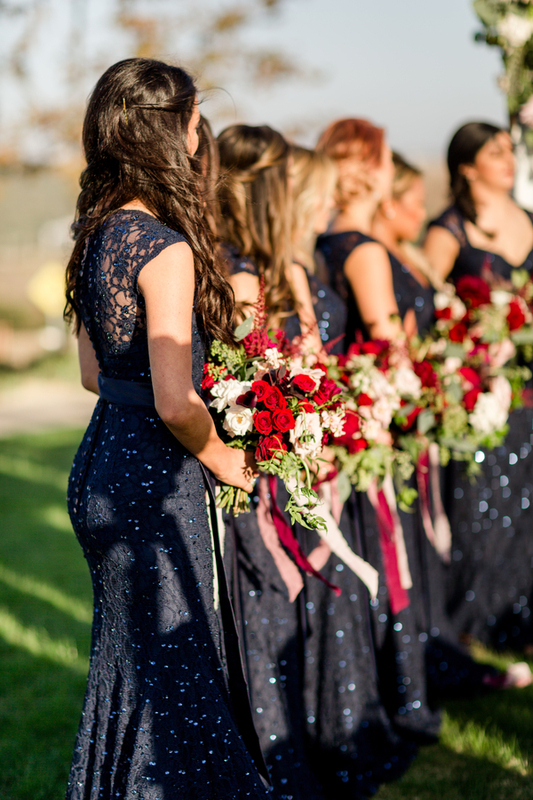 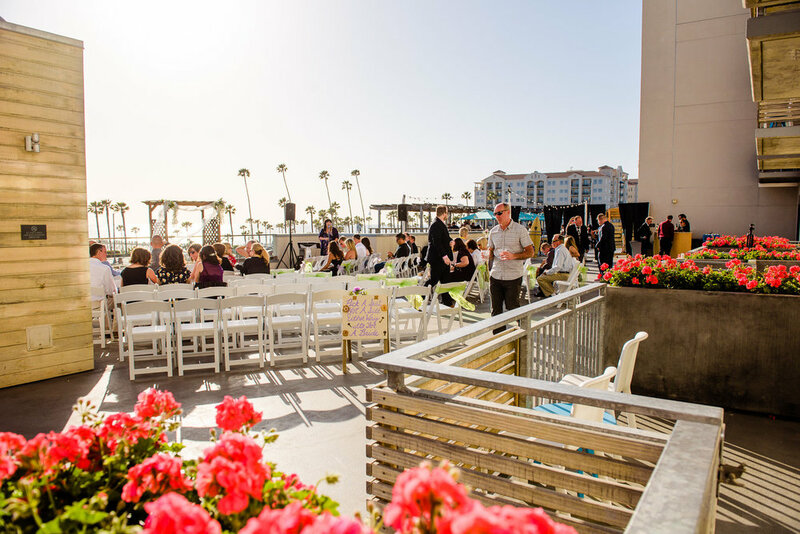 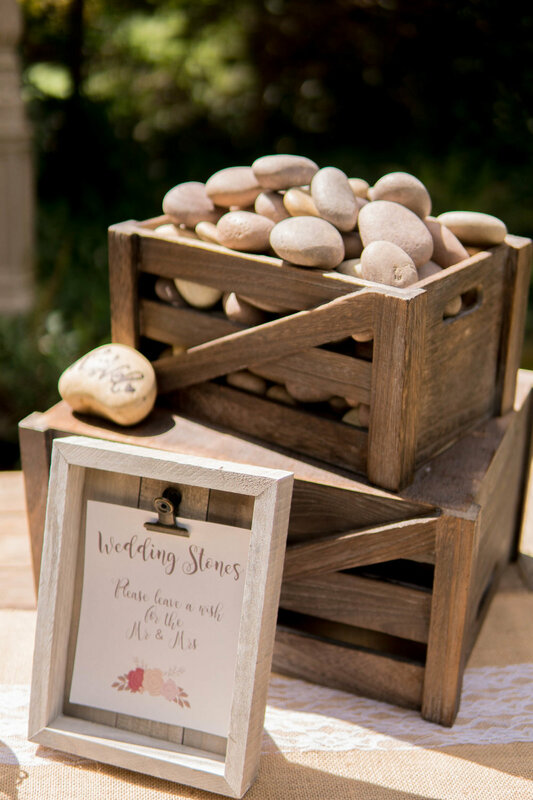 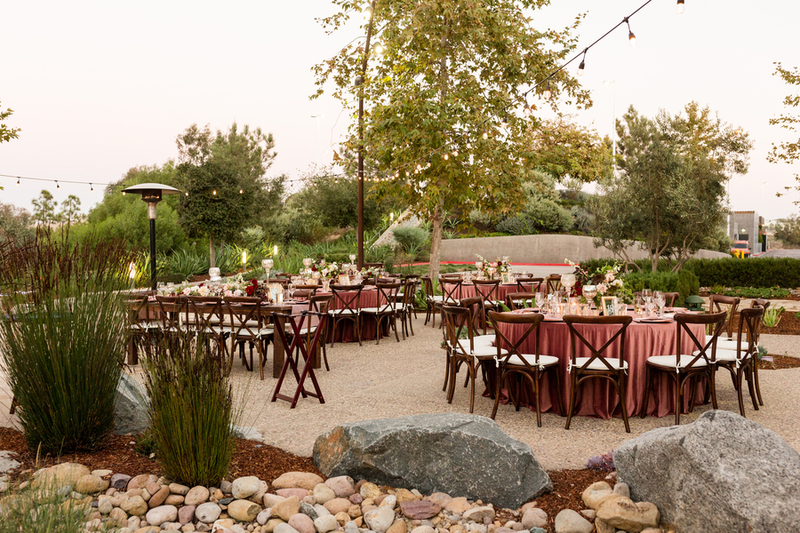 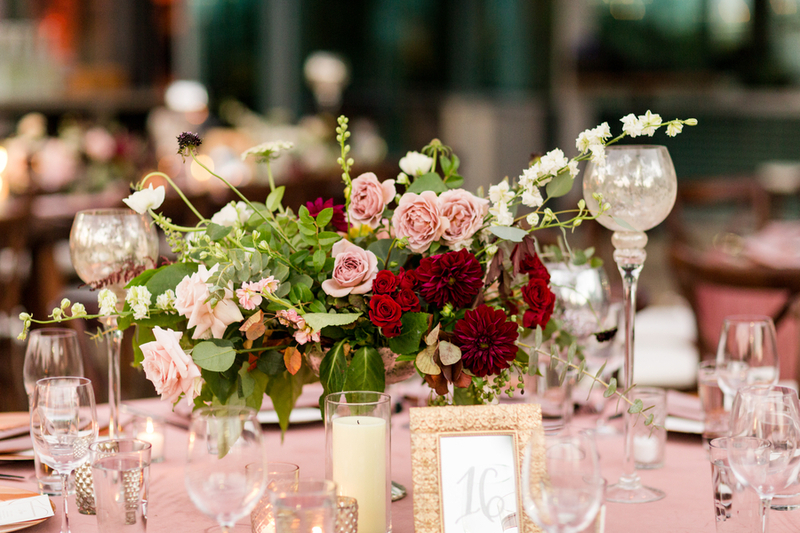 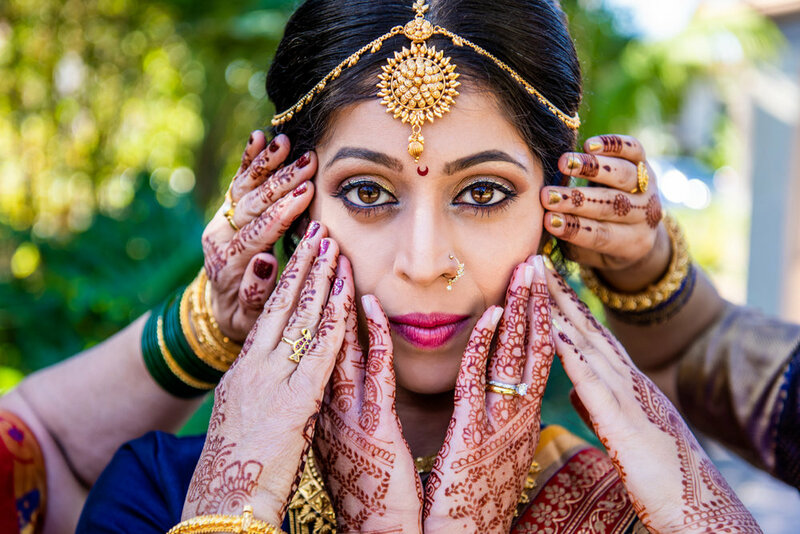 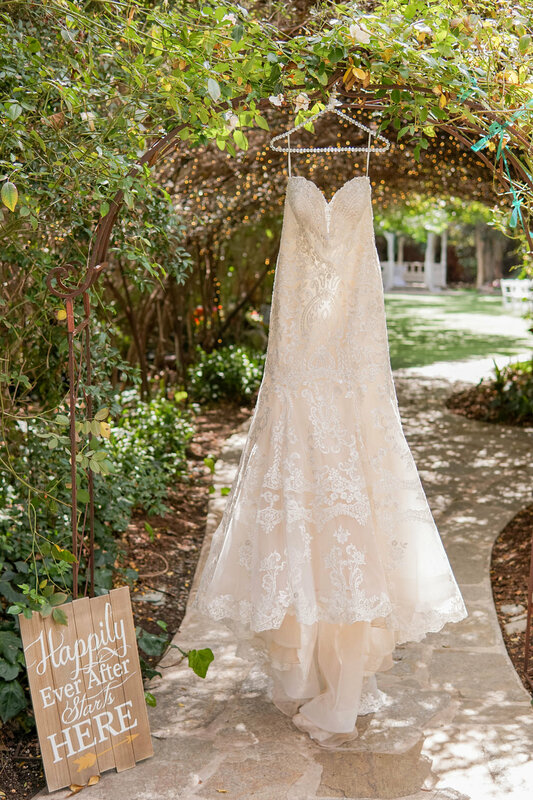 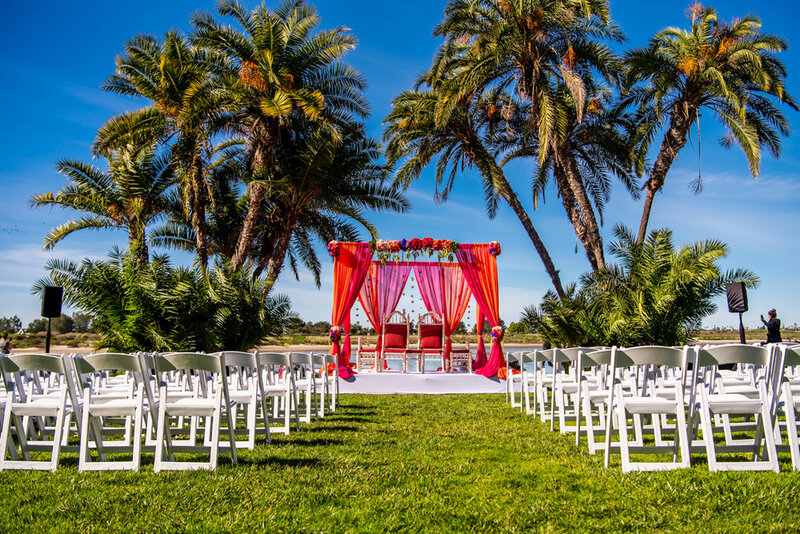 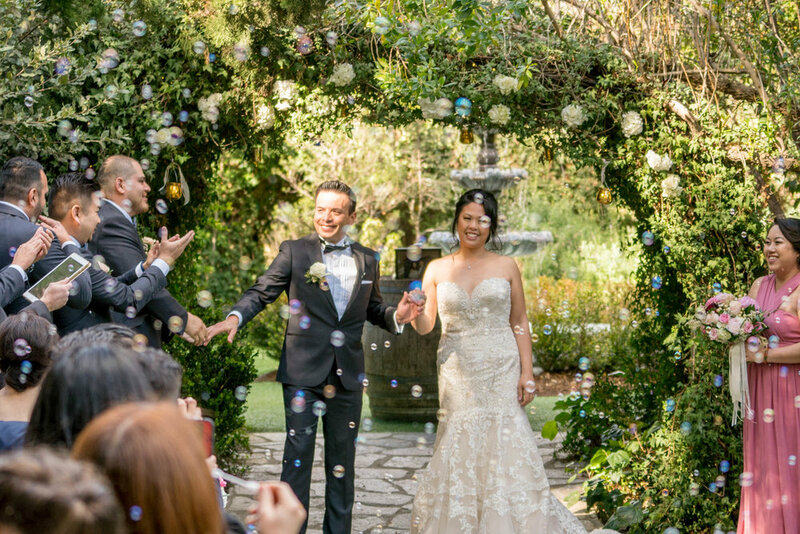 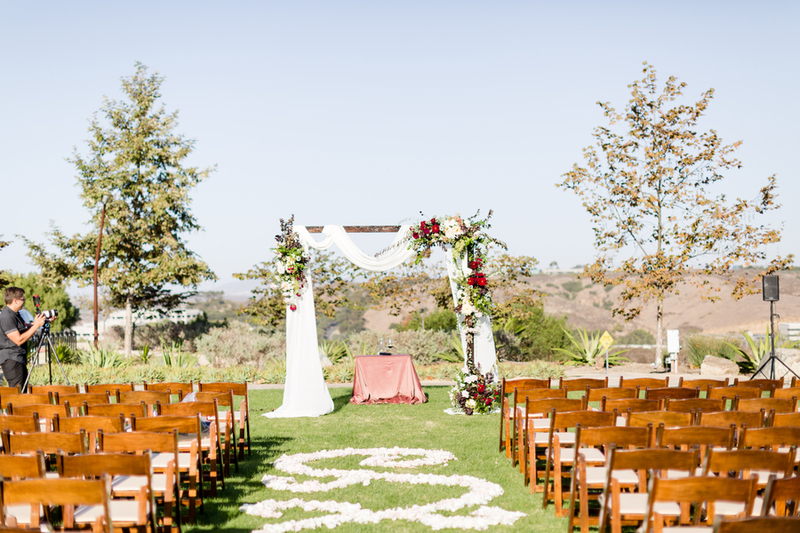 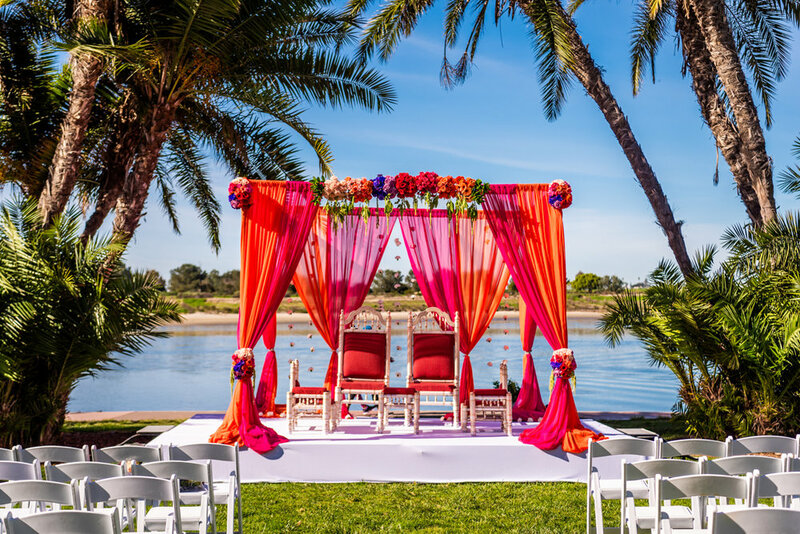 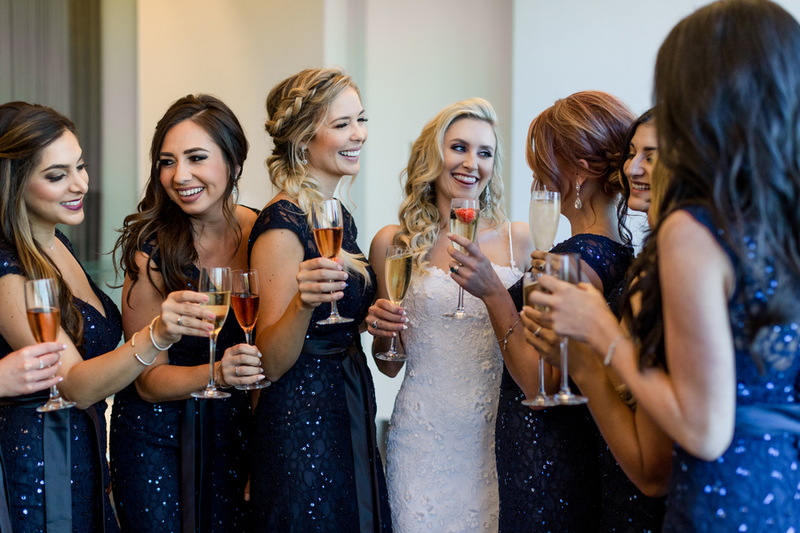 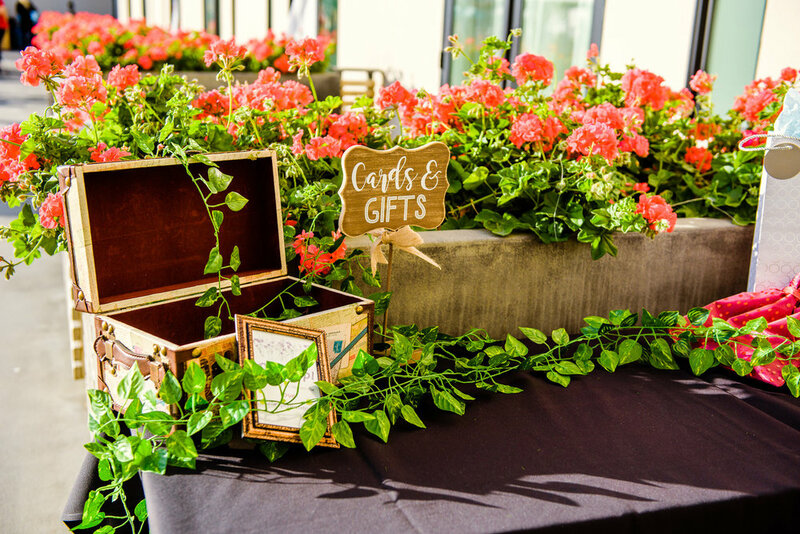 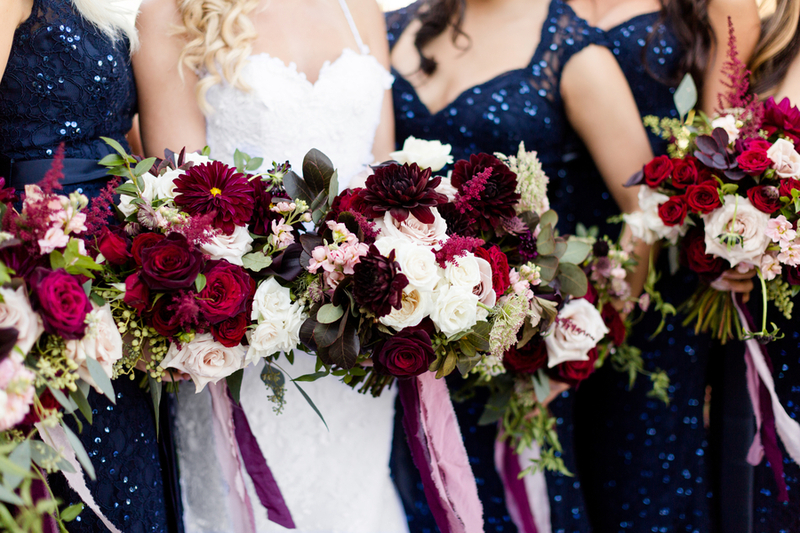 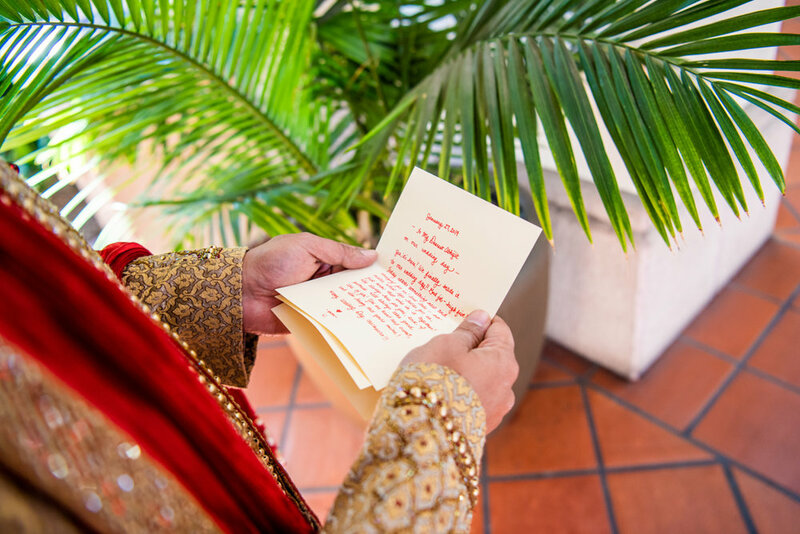 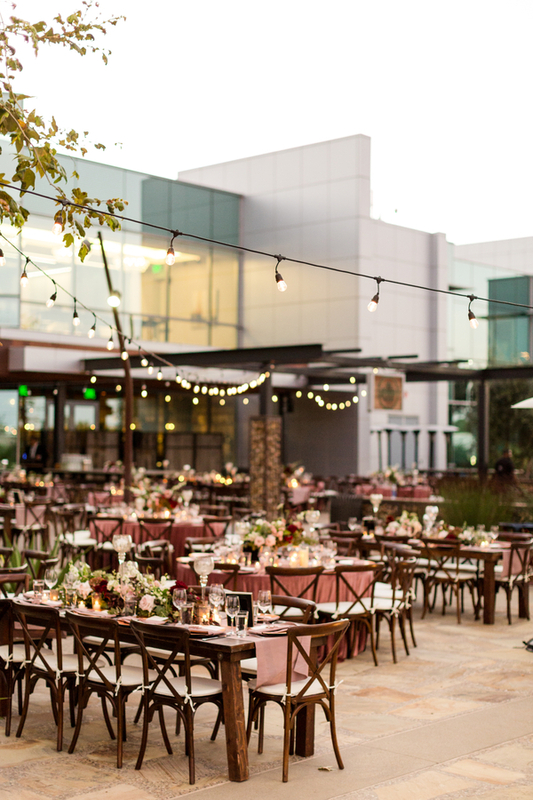 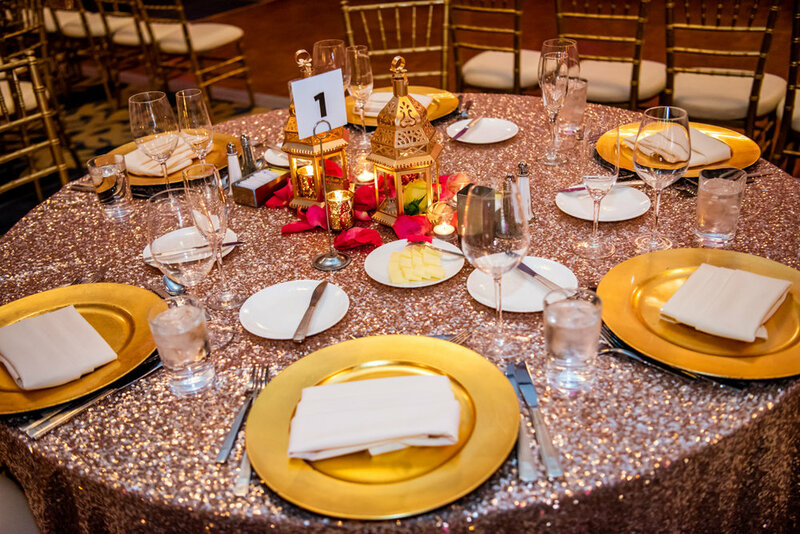 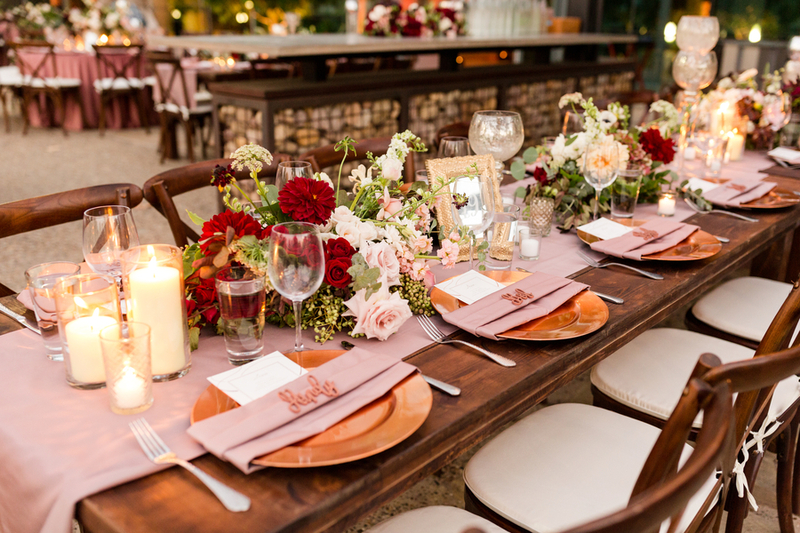 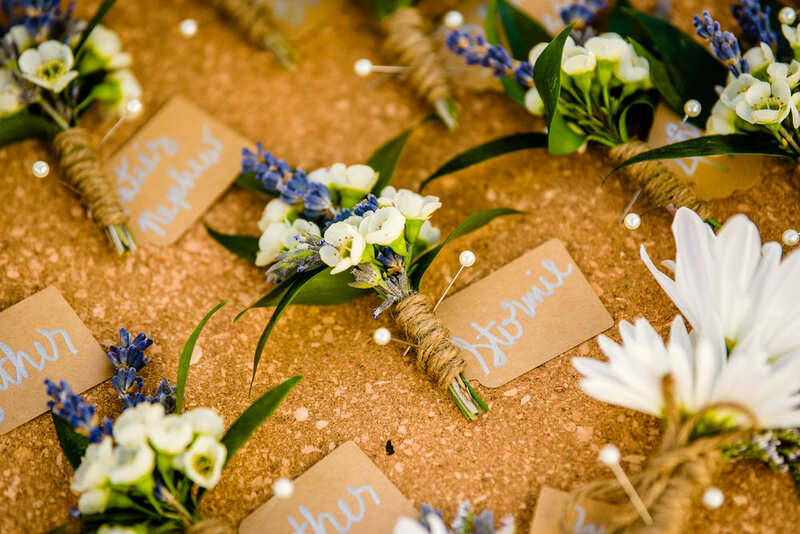 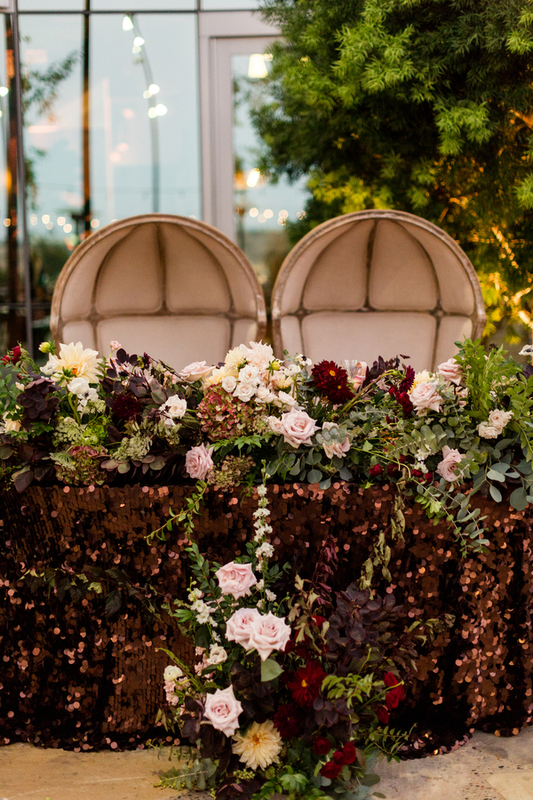 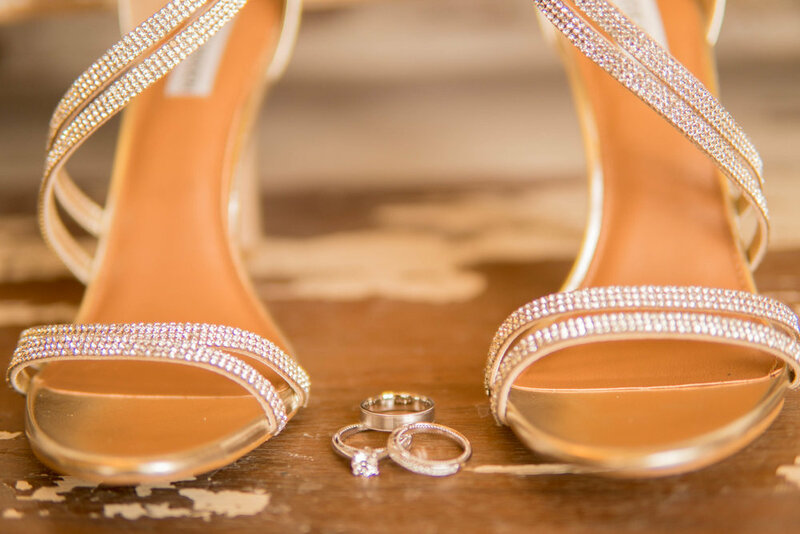 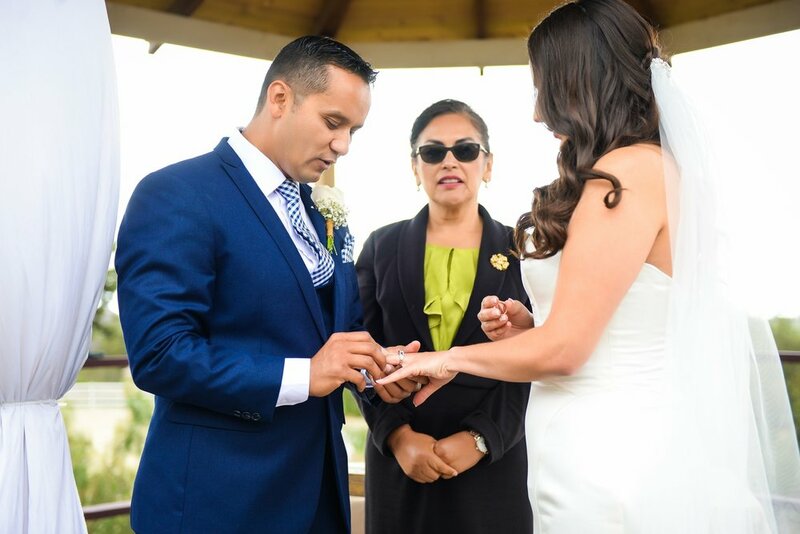 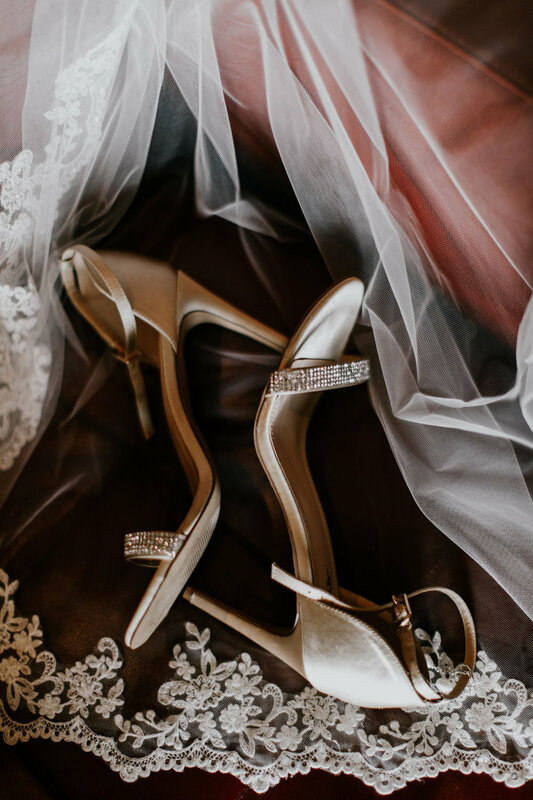 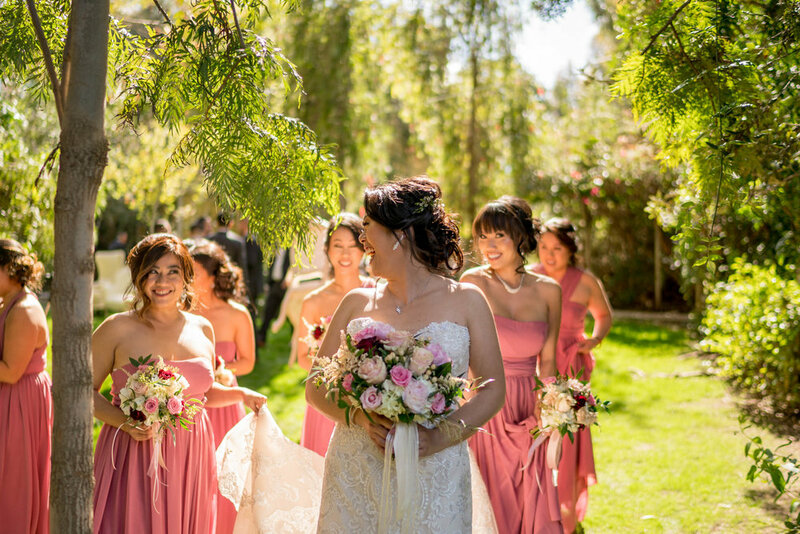 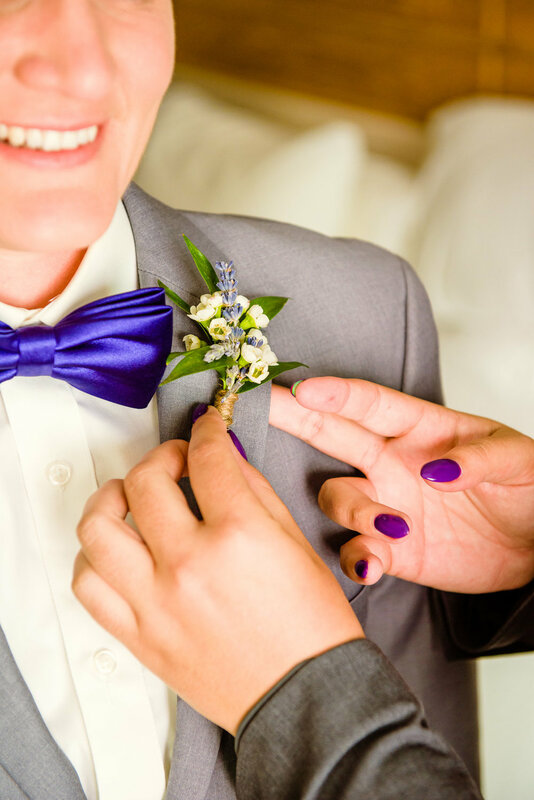 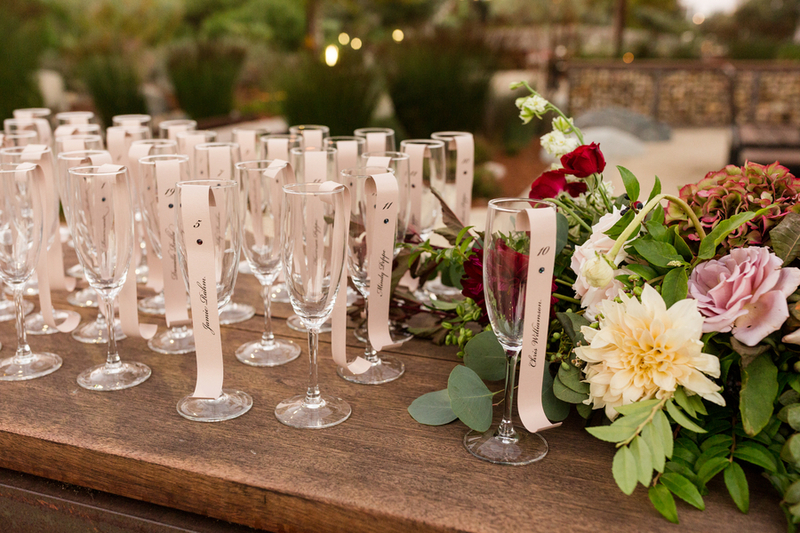 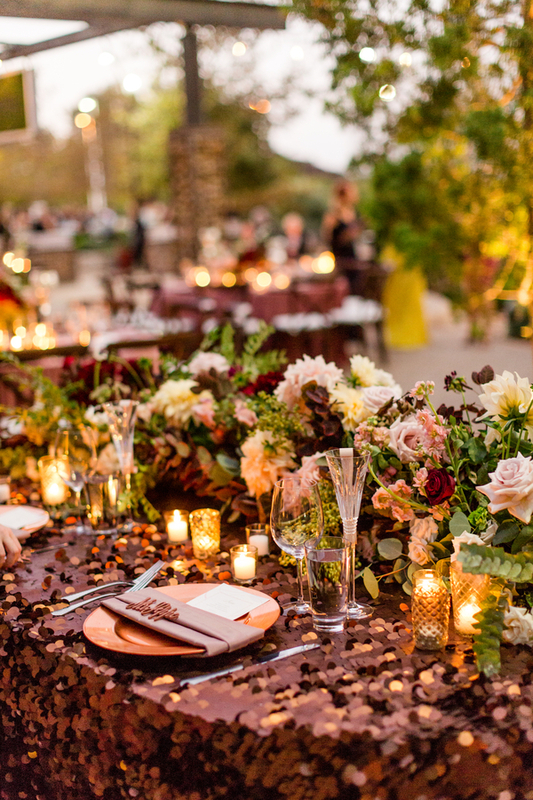 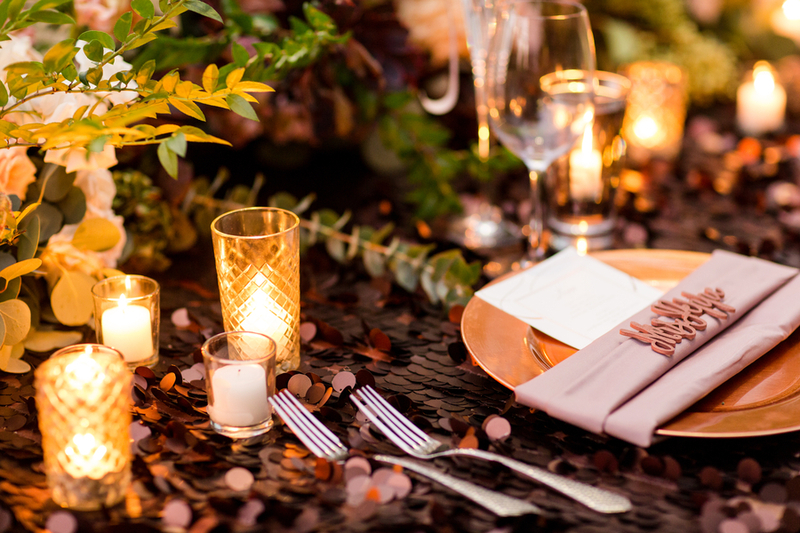 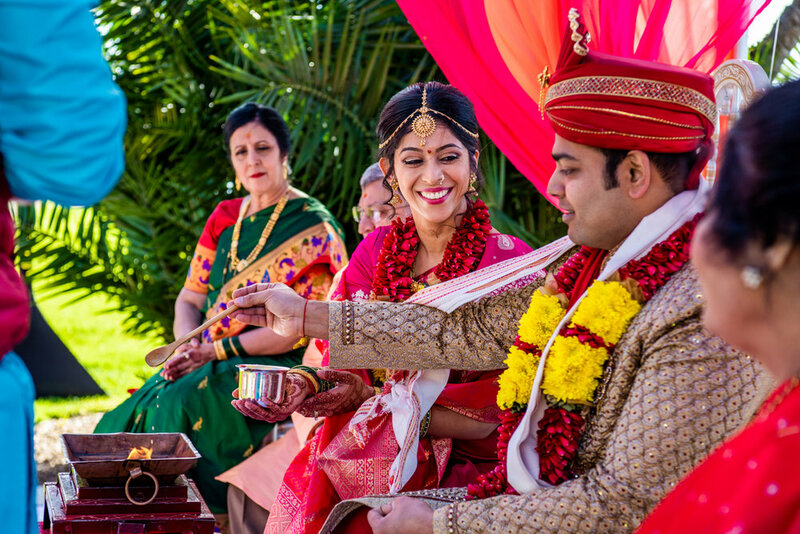 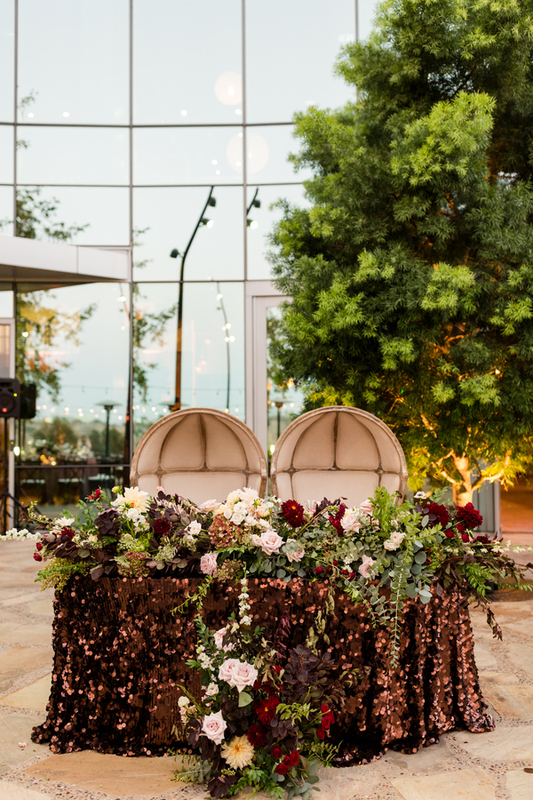 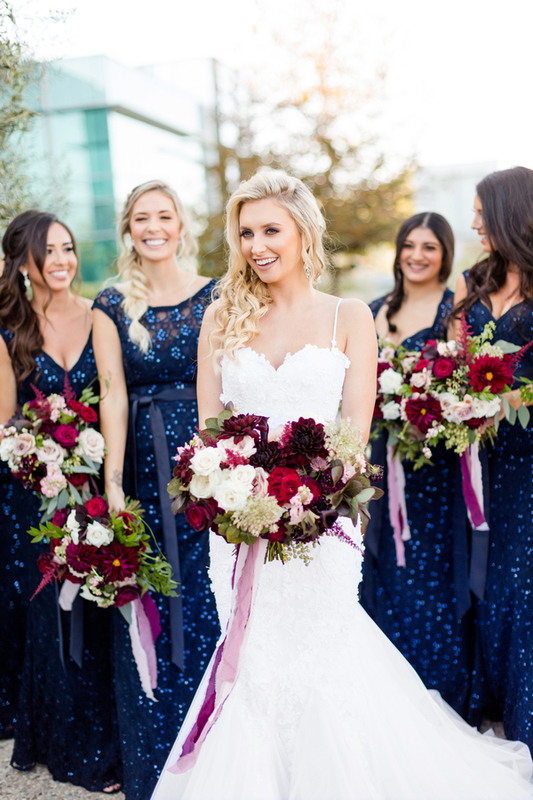 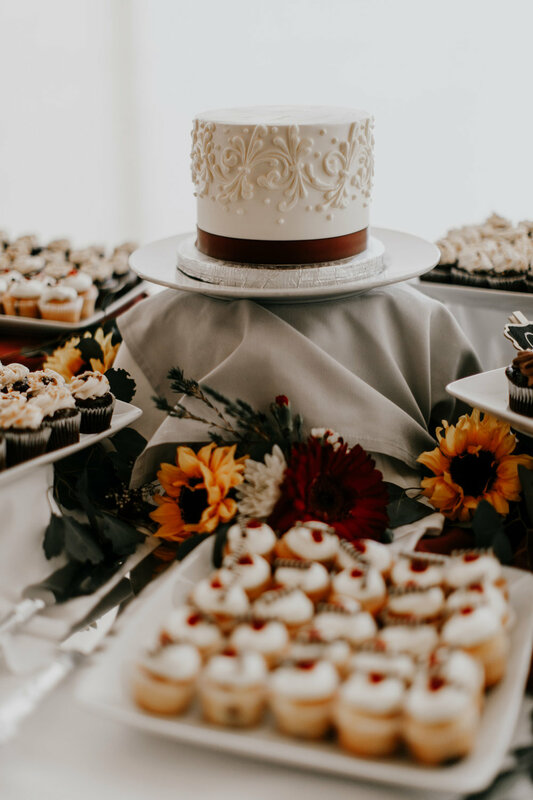 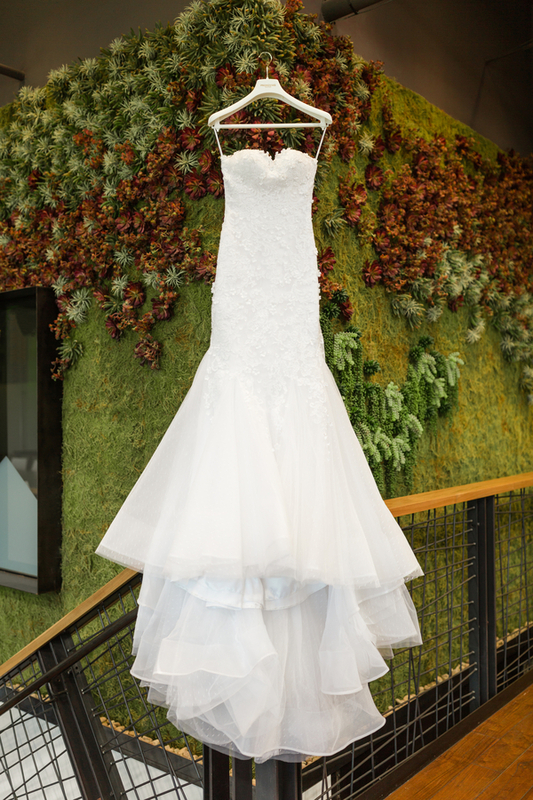 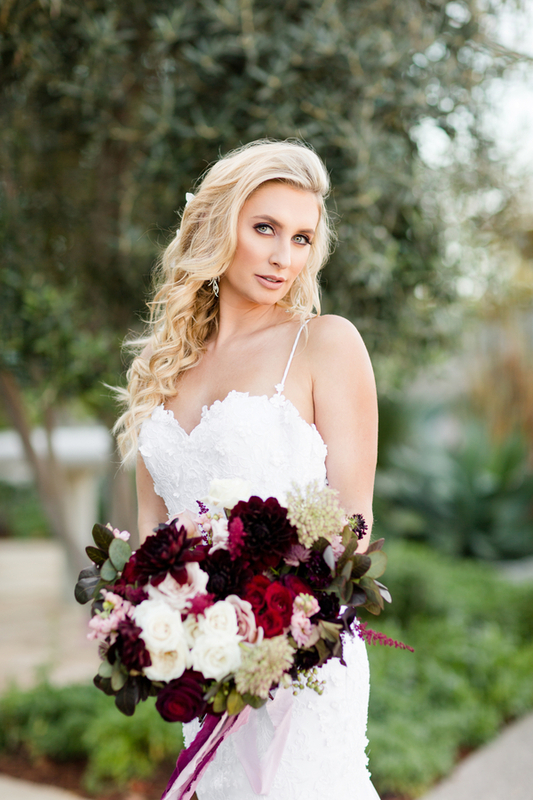 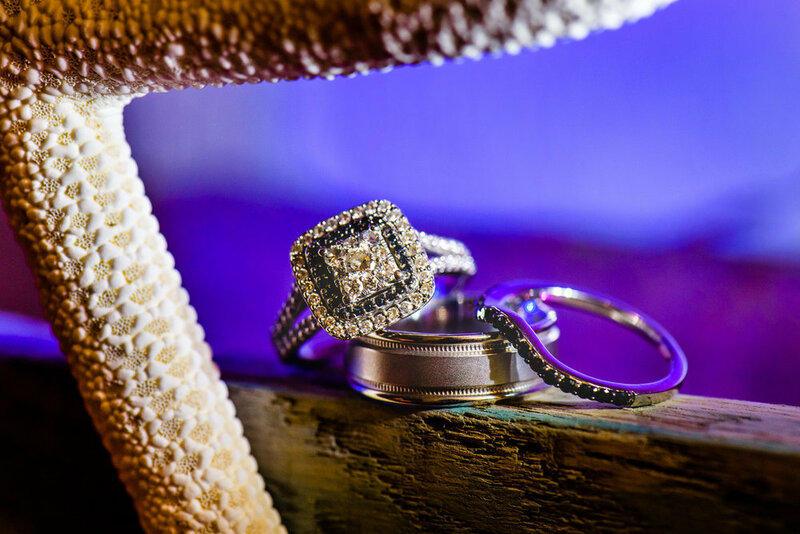 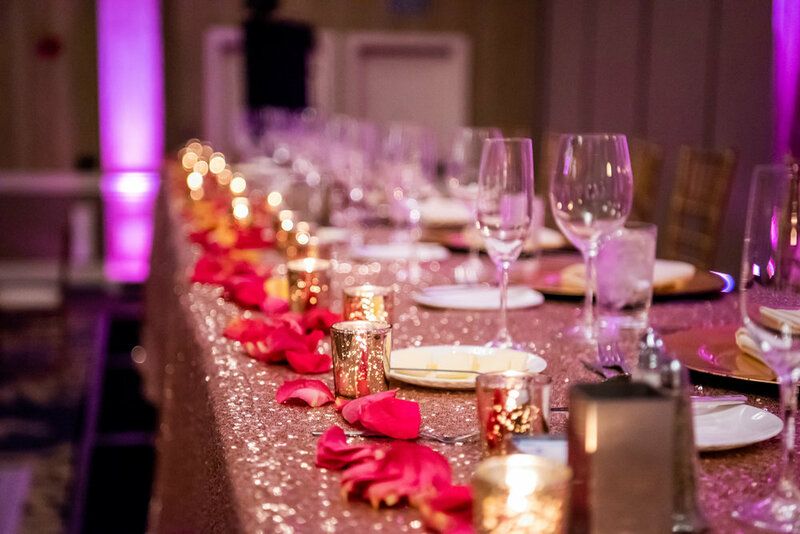 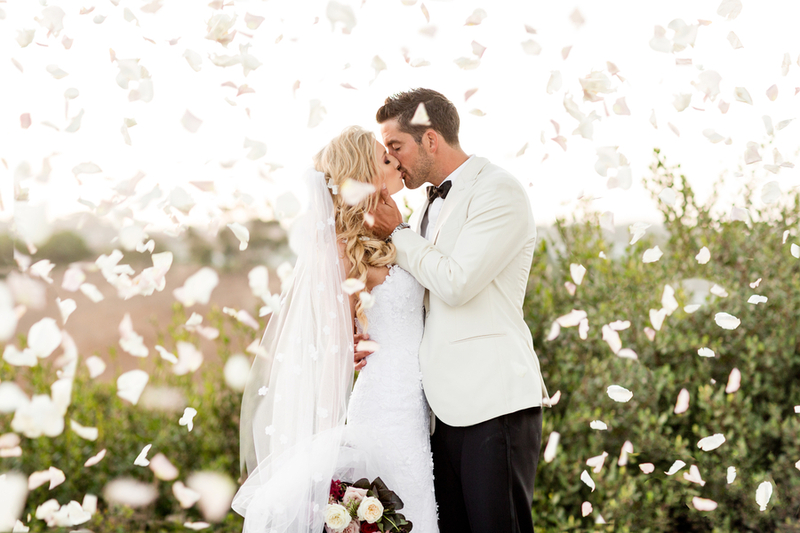 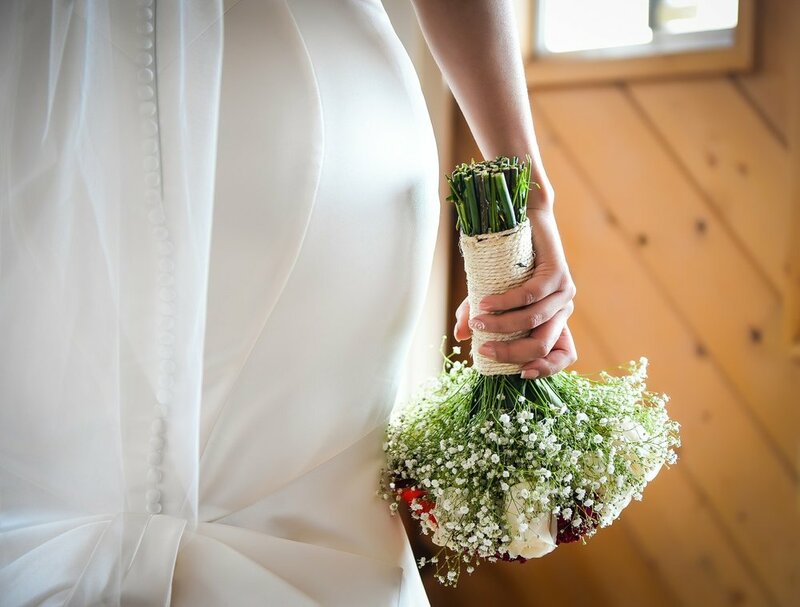 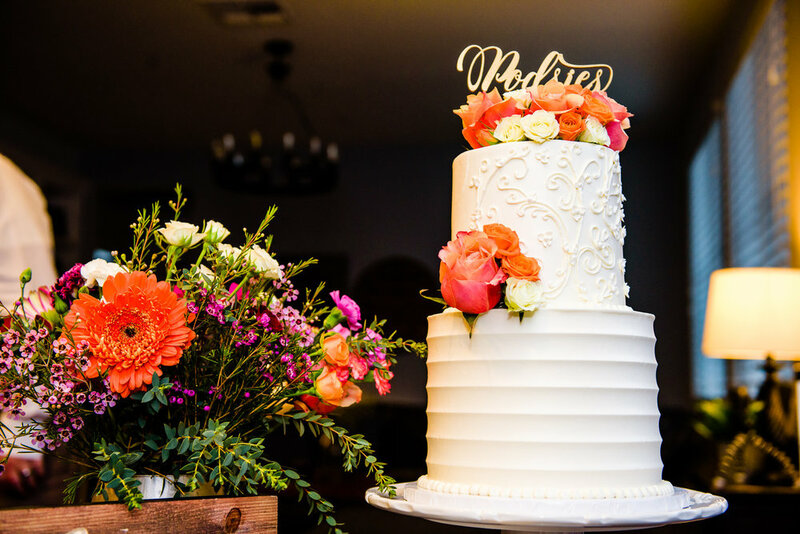 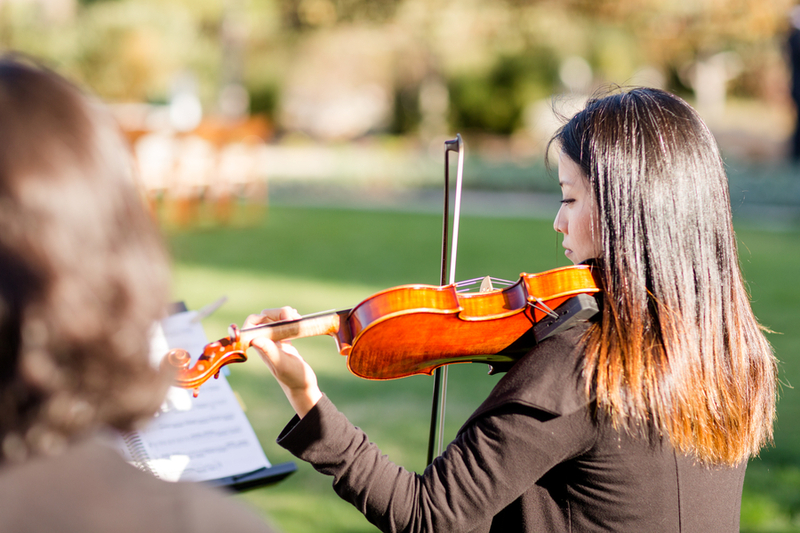 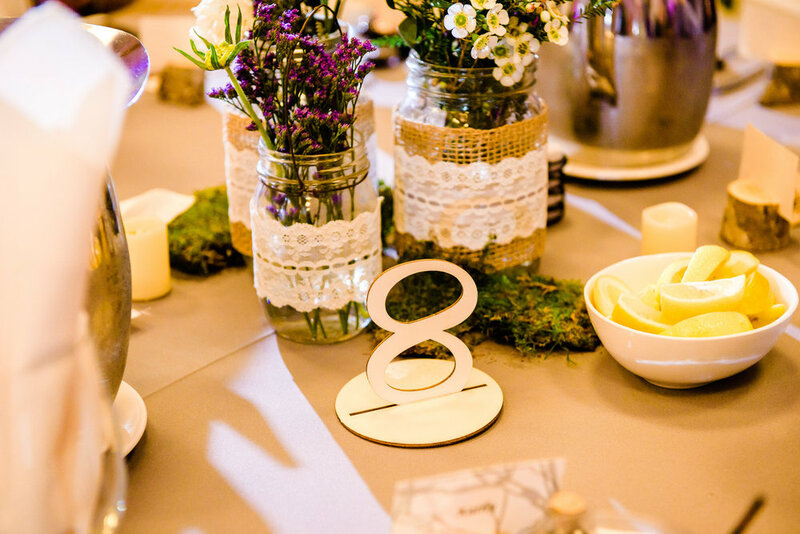 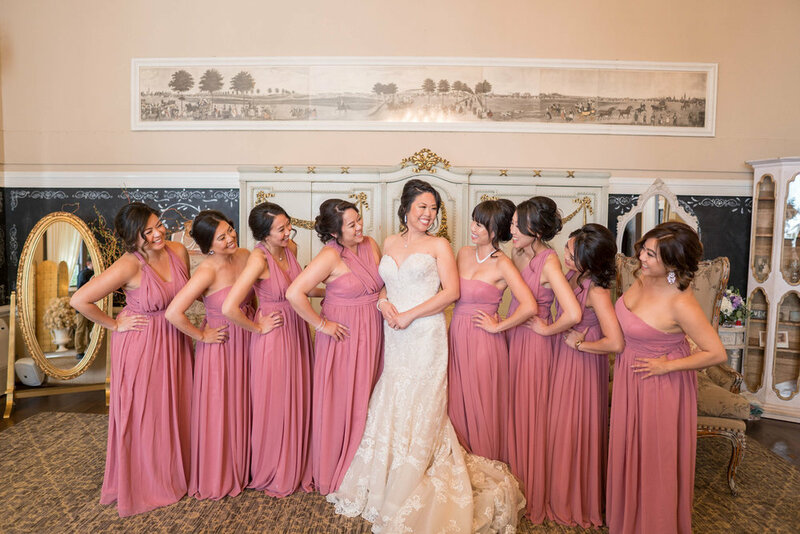 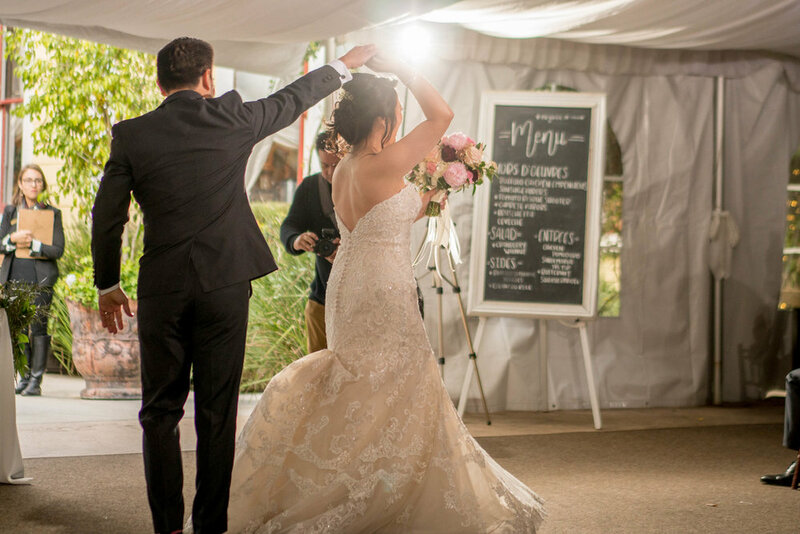 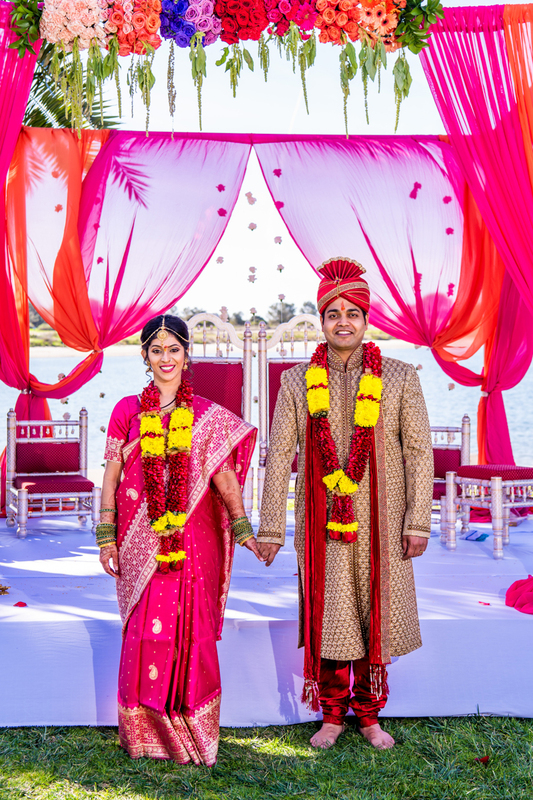 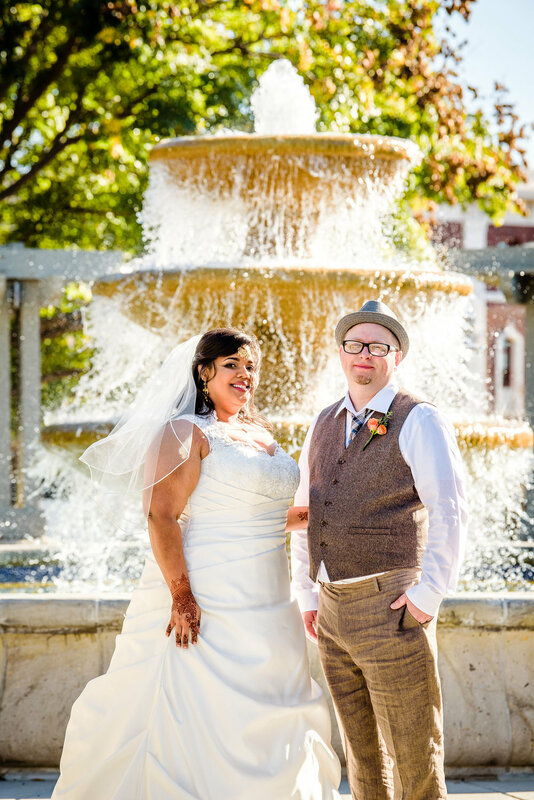 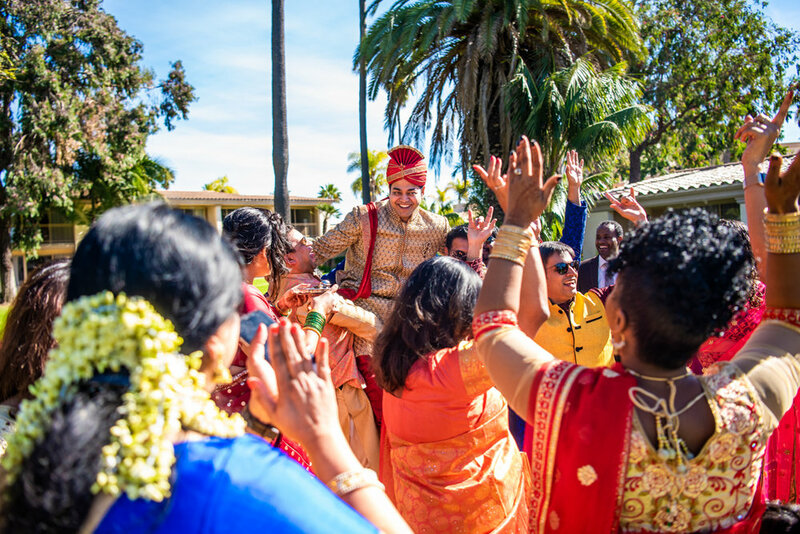 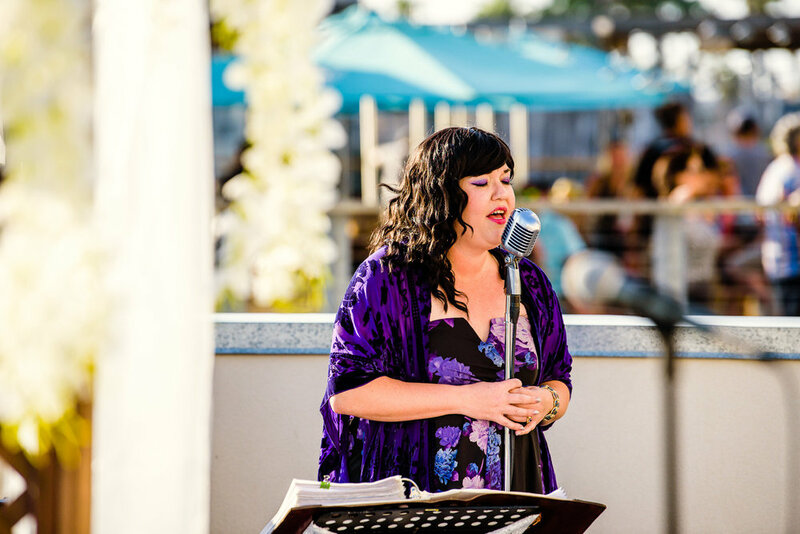 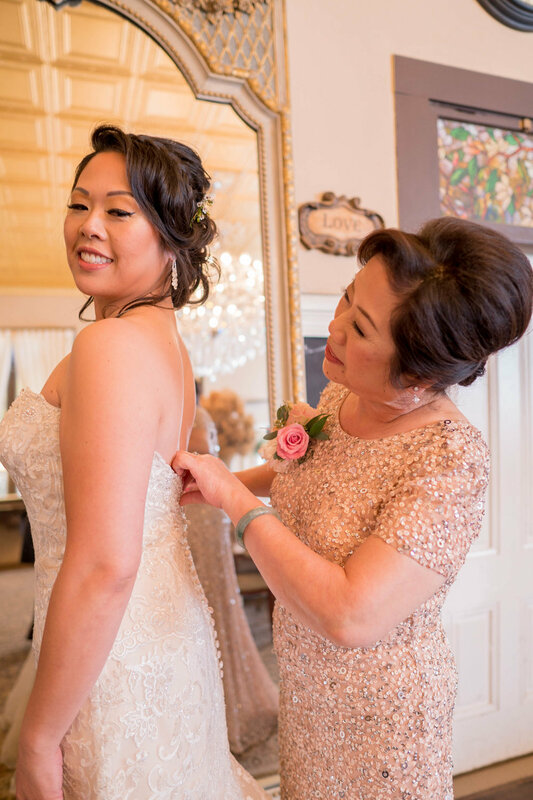 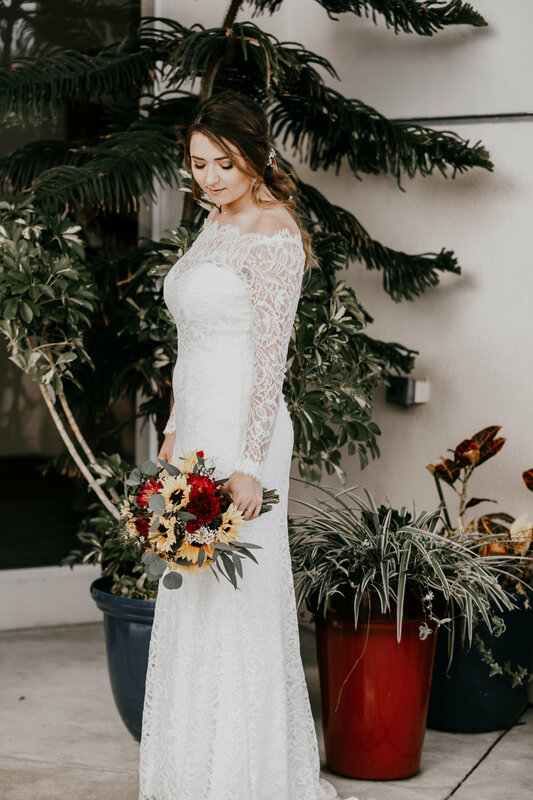 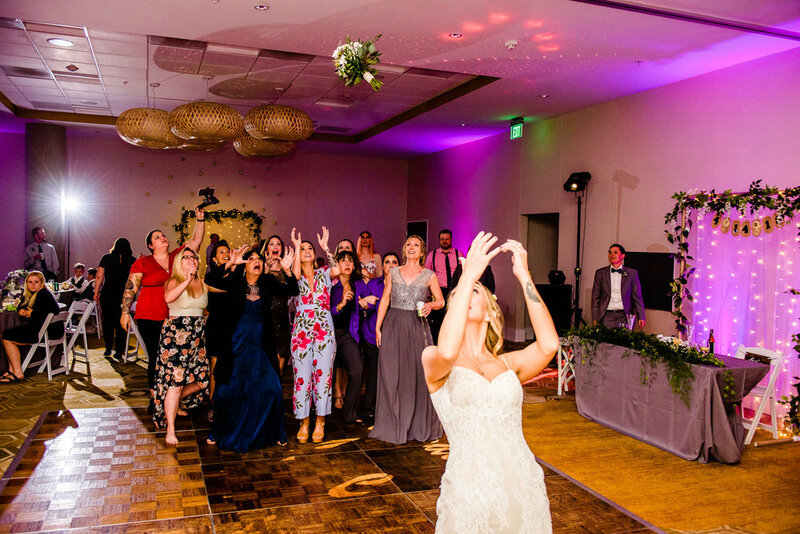 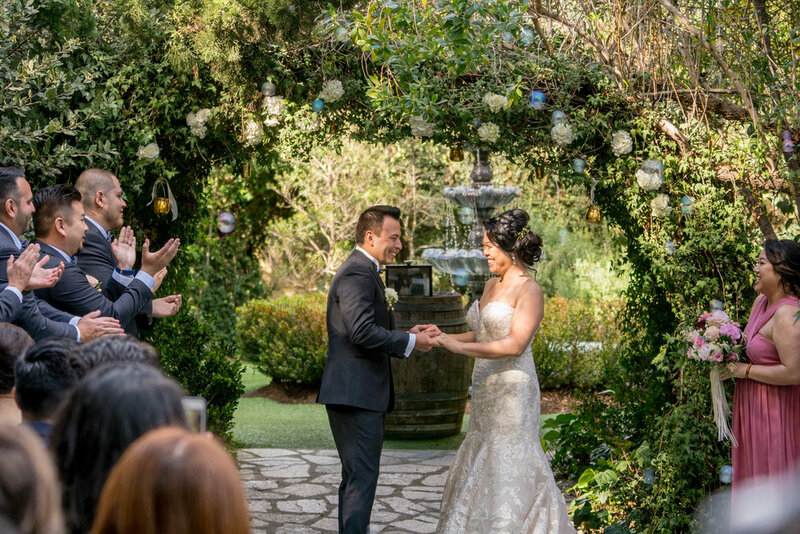 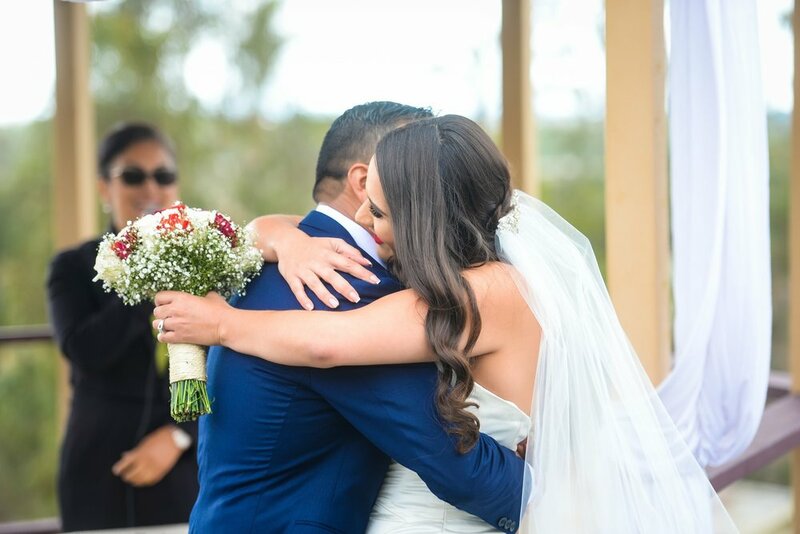 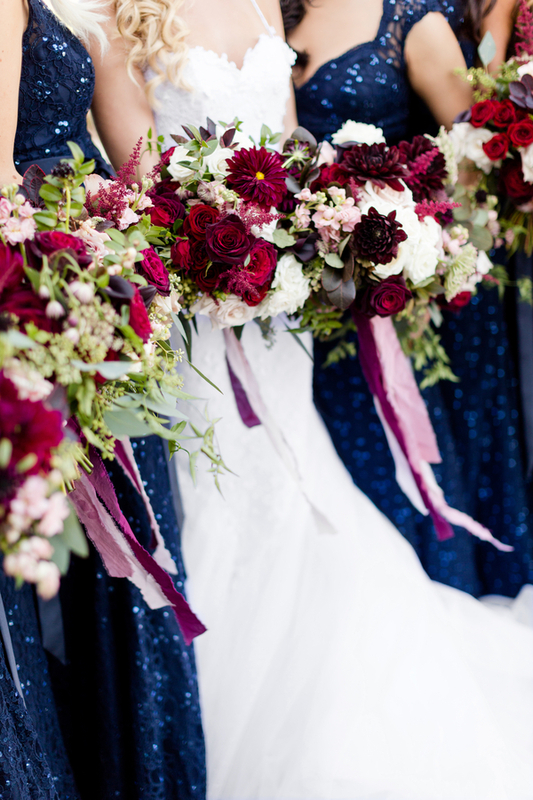 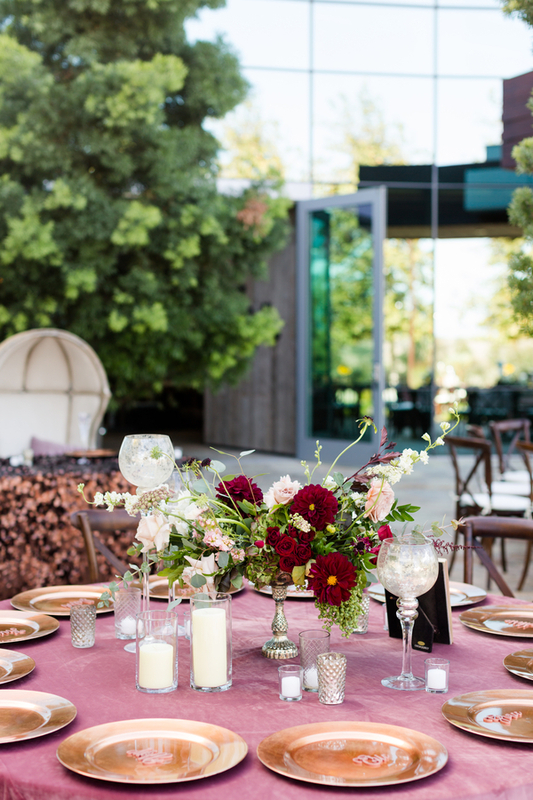 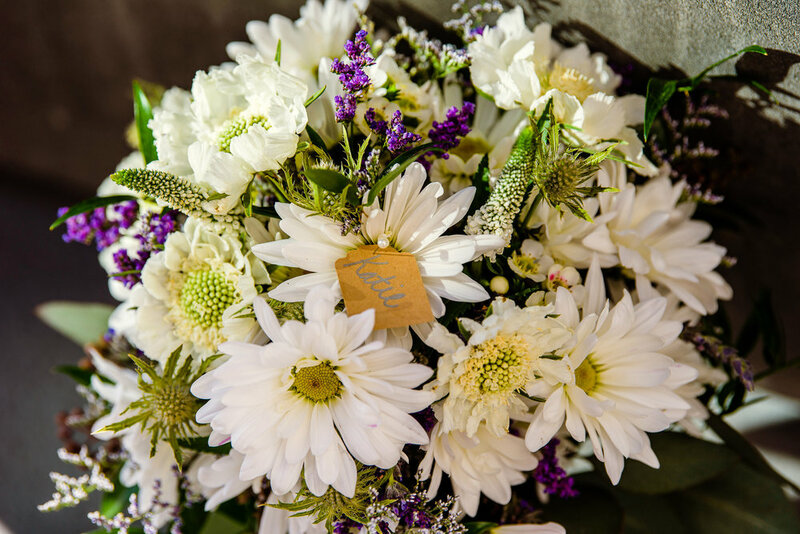 Wedding experts will tell you that although San Diego has an amazing year long ‘wedding season’ of fabulous weather and options, September, October and November are the most popular wedding months for good reason. 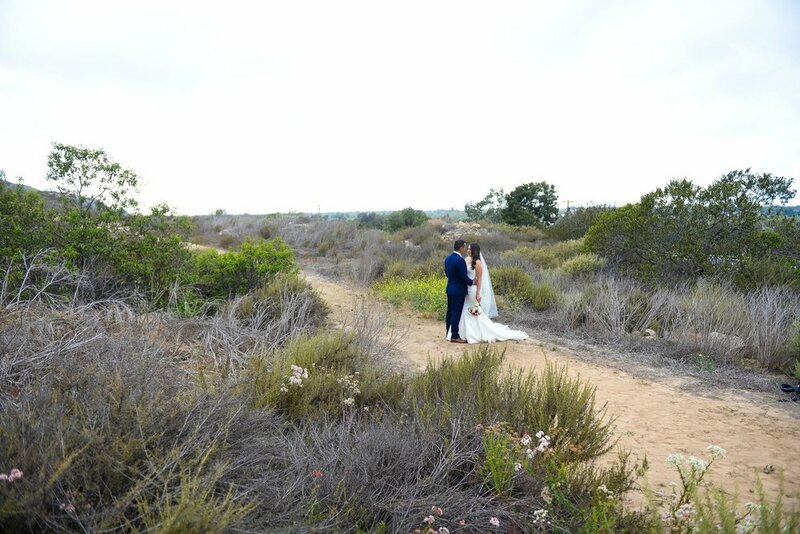 Happy Fall San Diego! 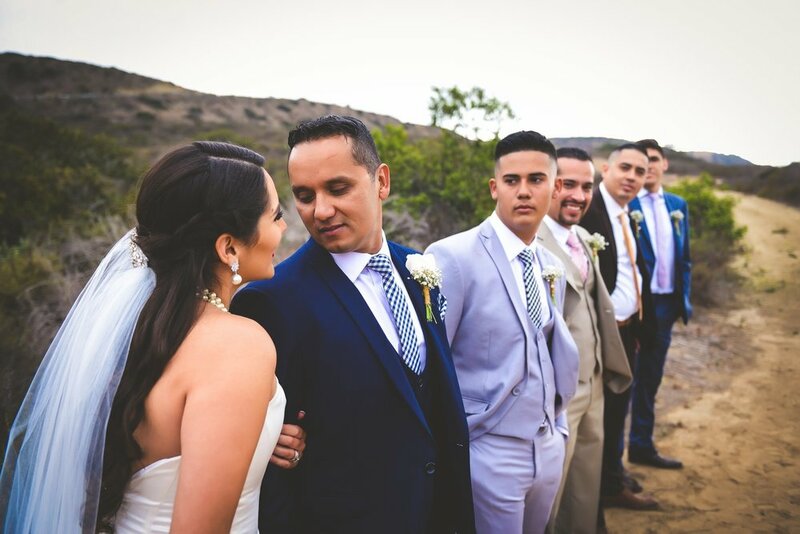 Sacred Mountain is located in the quaint historical town of Julian in Southern California and is a short drive from San Diego. 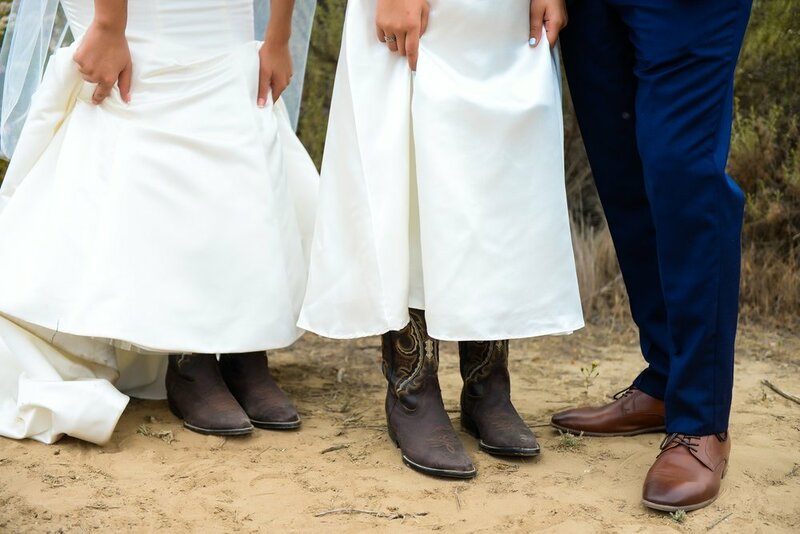 Sacred Mountain consists of two unique ranches; Sacred Mountain Retreat and Sacred Mountain Private Ranch. 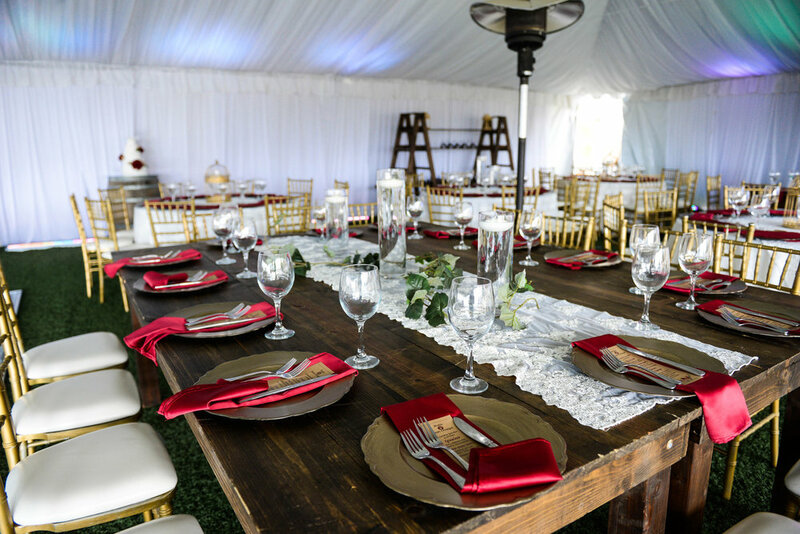 Each of these two private ranches have distinct rustic elegance and charm. 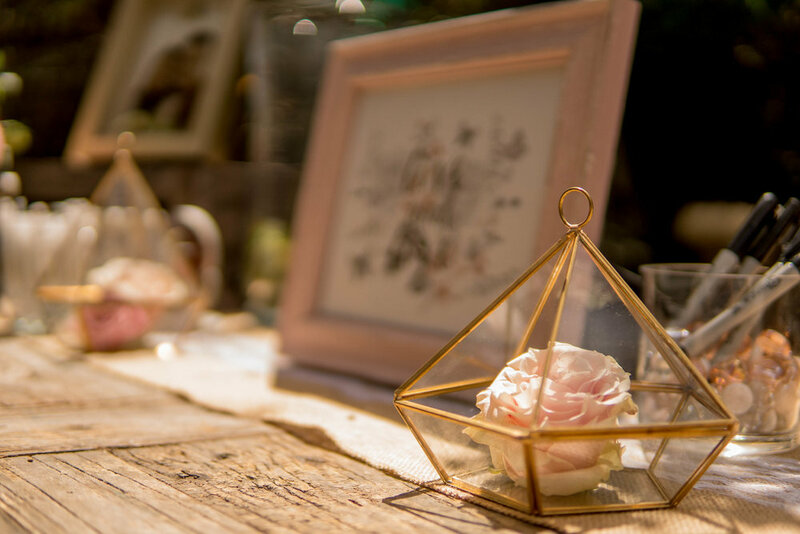 Our property is “awnatural” in beauty, extremely private and with a dreamy atmosphere of character and tranquility. 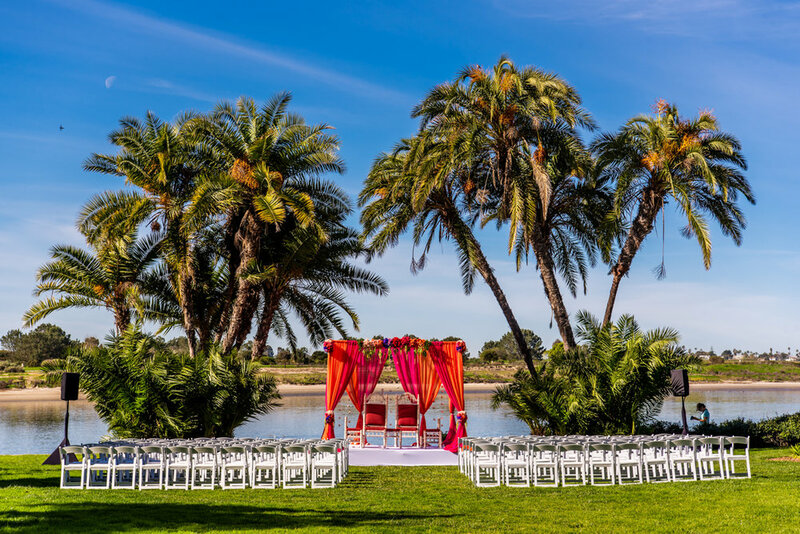 This country estate celebrates four seasons with distinct natural beauty creating perfect spaces for your wedding vision! 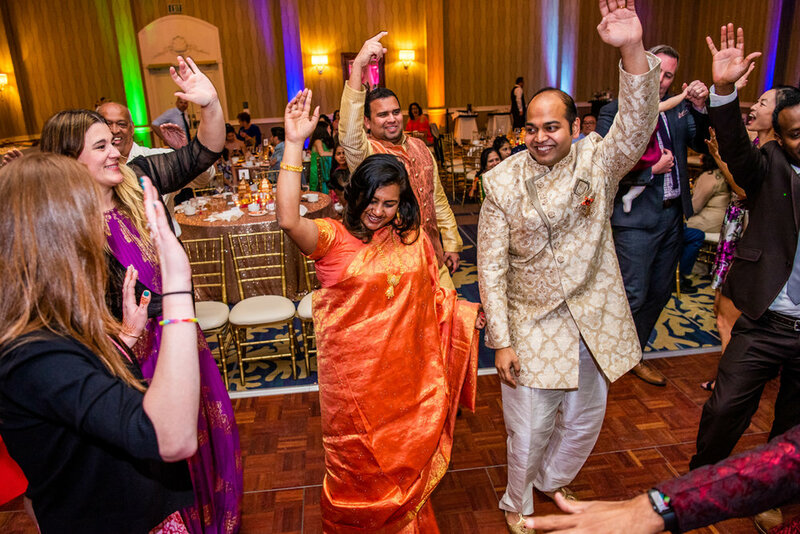 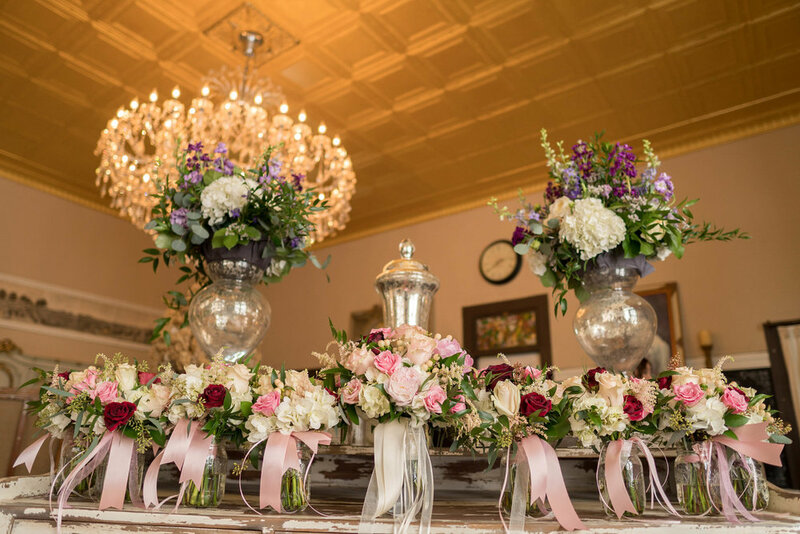 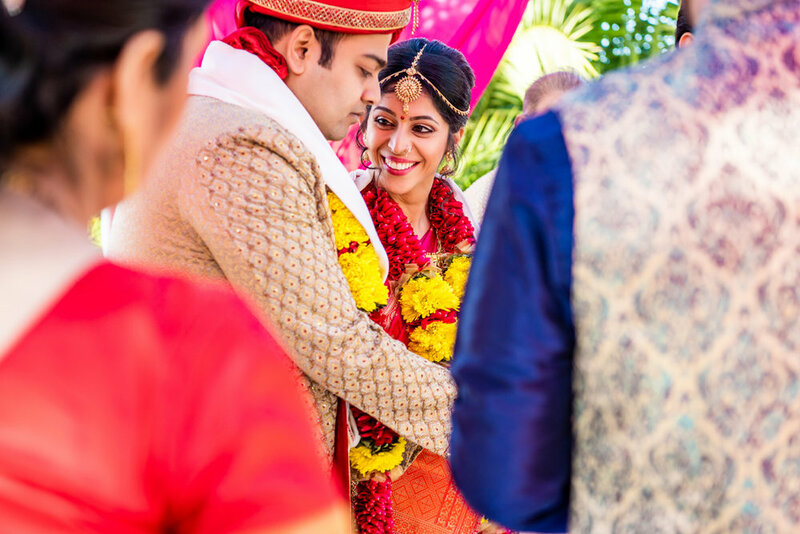 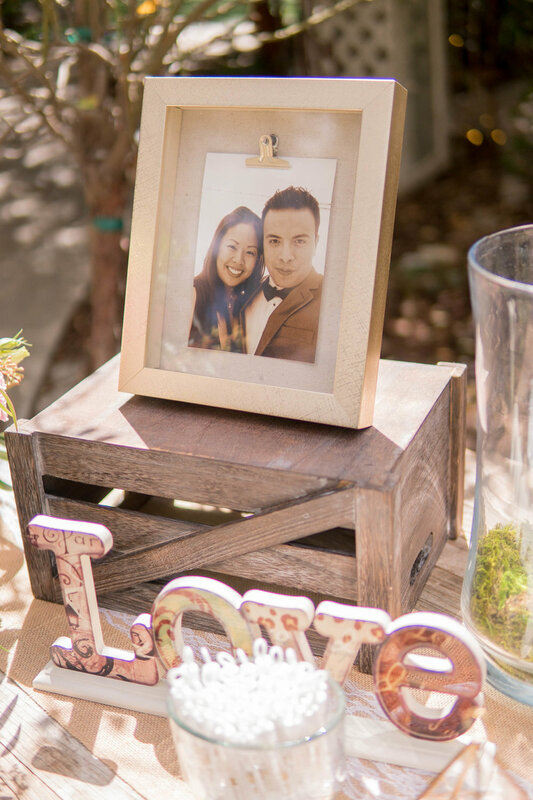 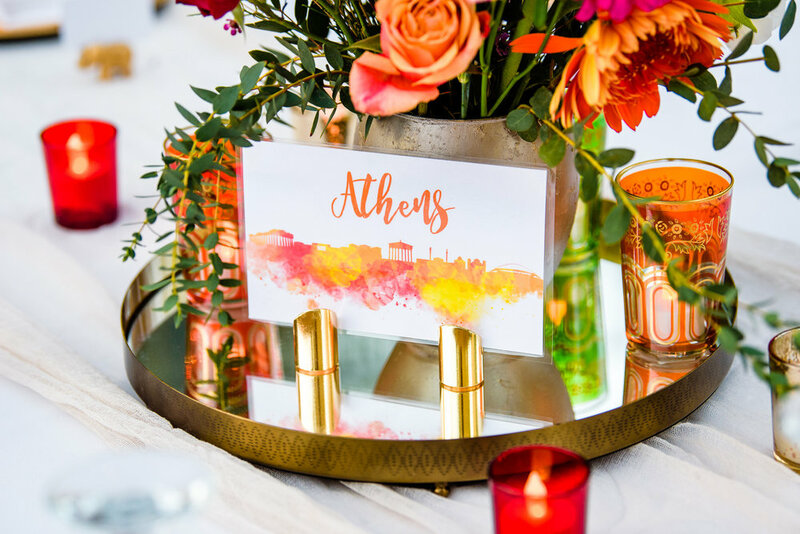 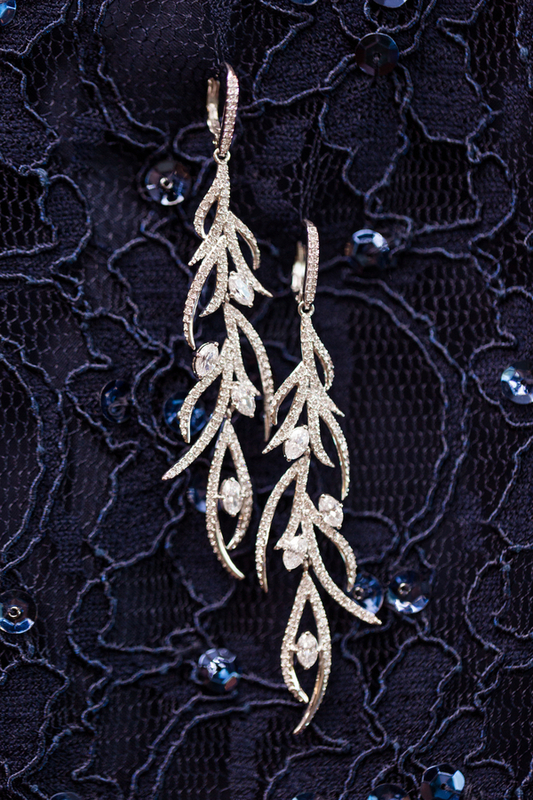 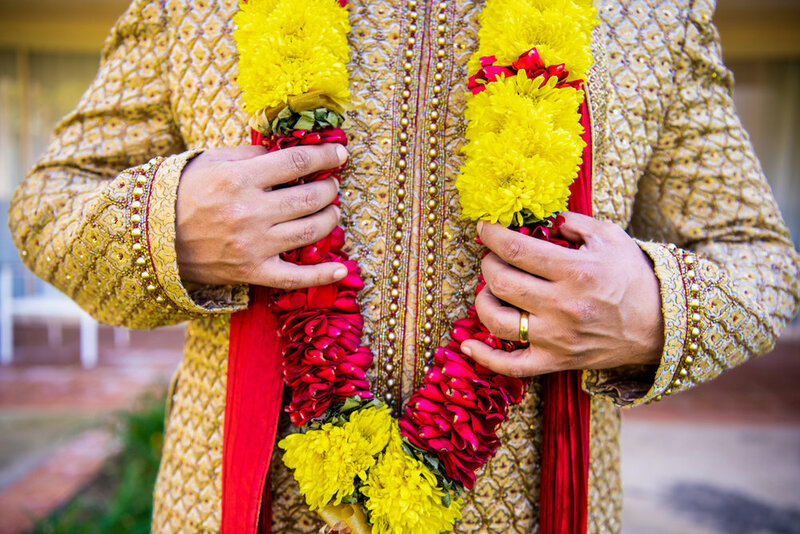 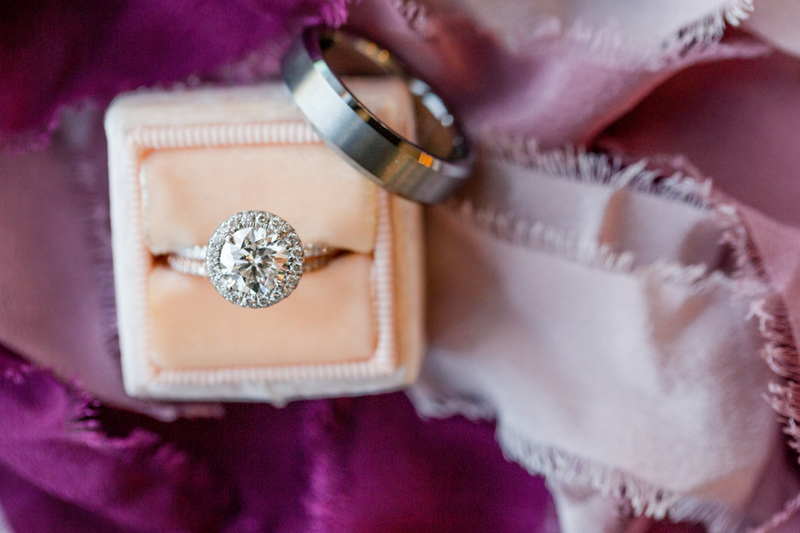 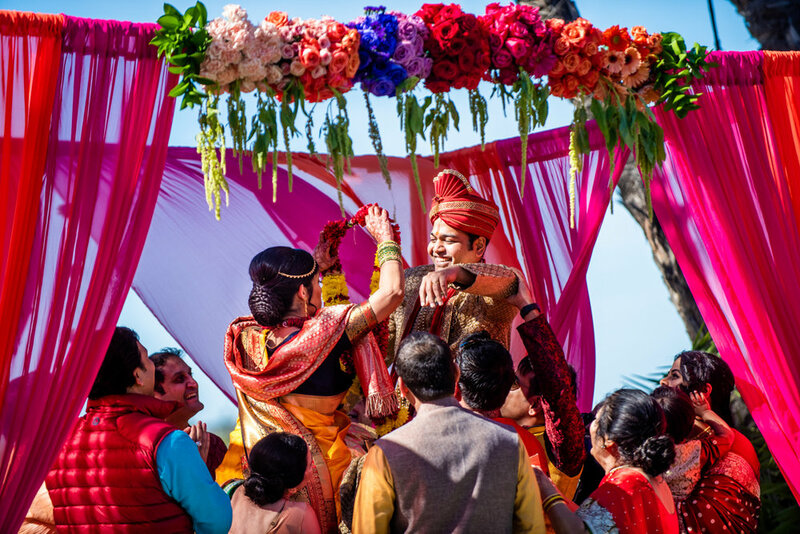 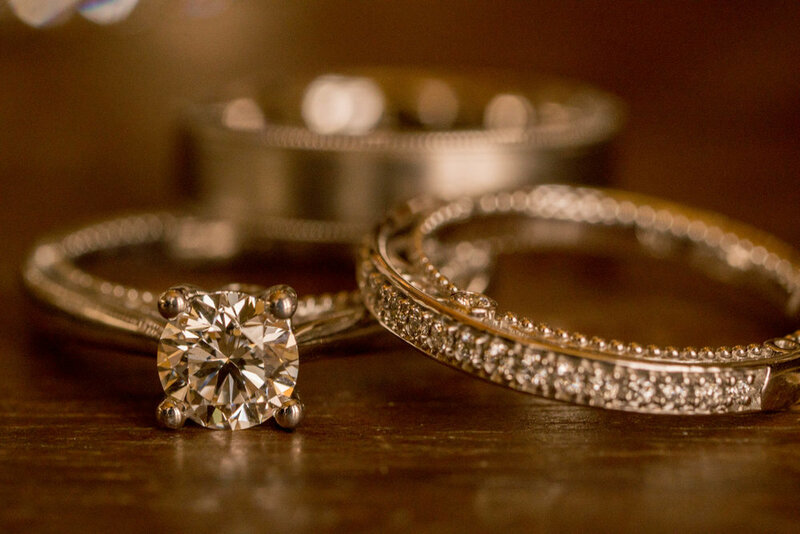 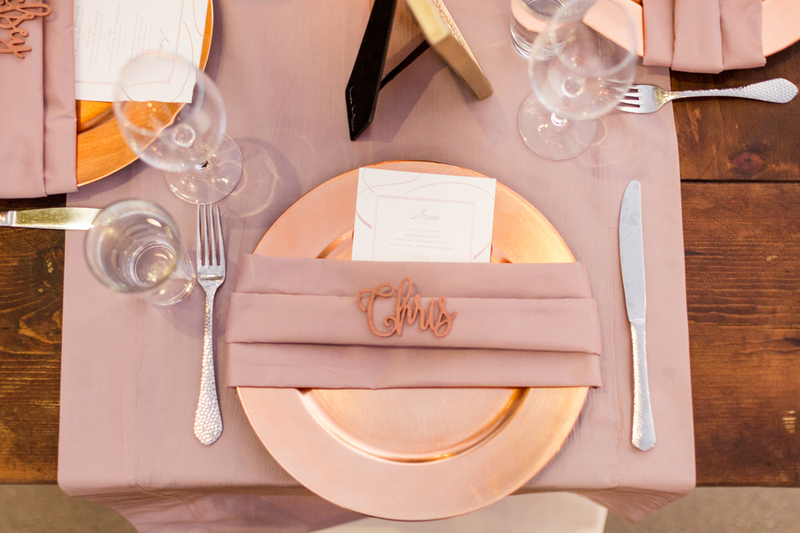 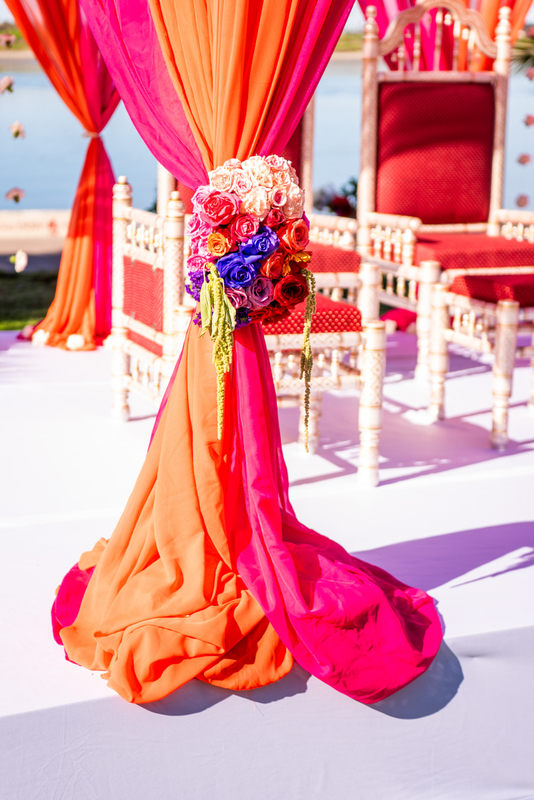 We just love featuring weddings that show this much love! 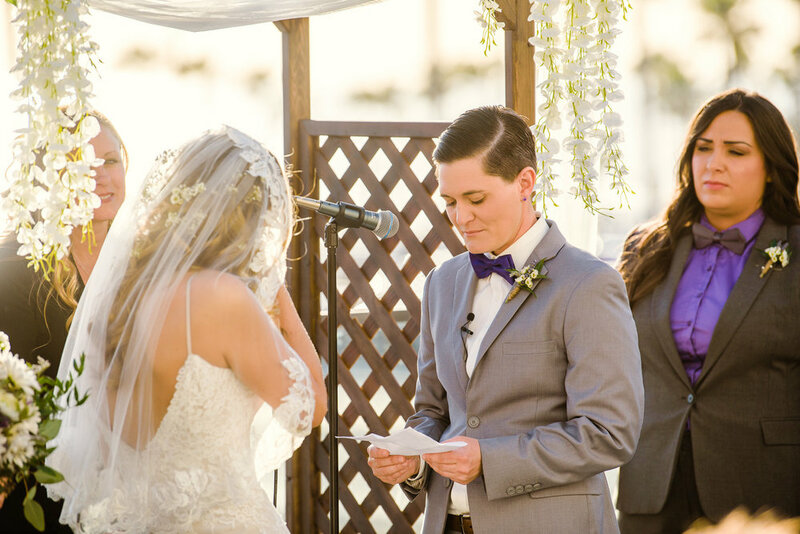 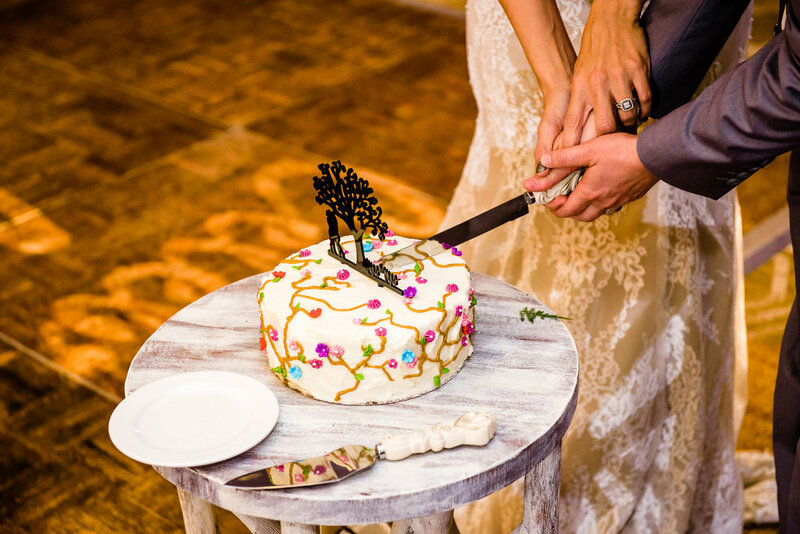 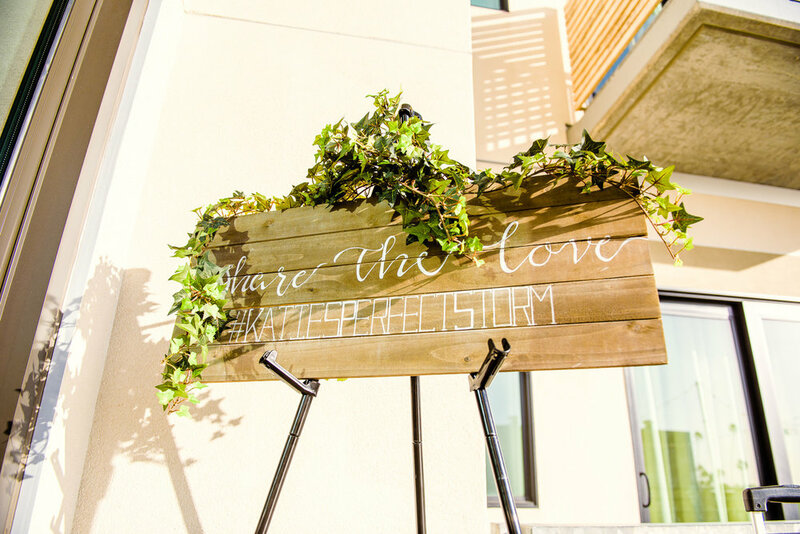 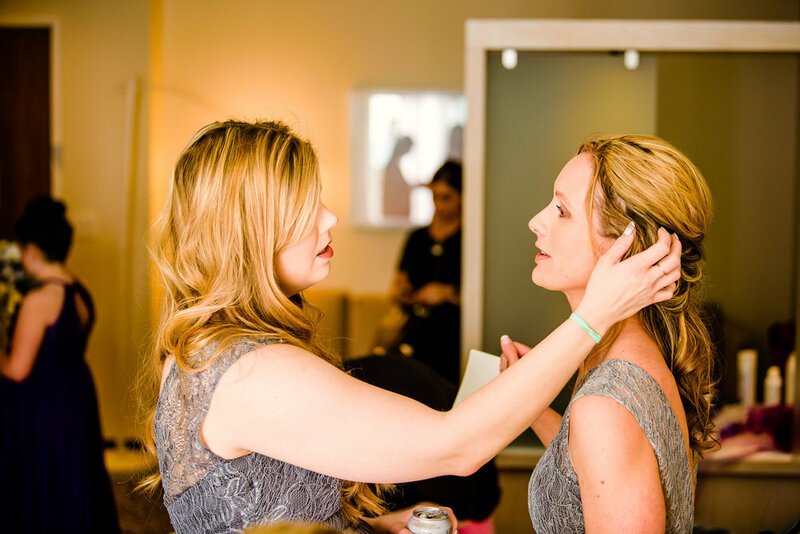 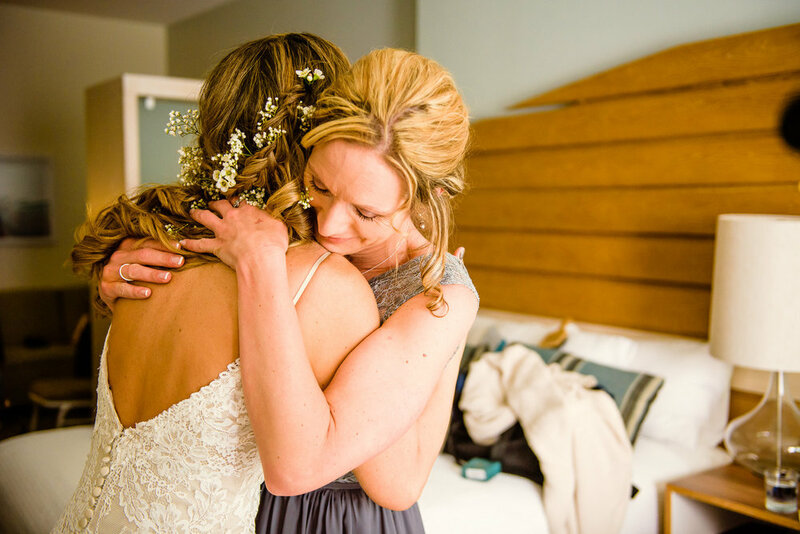 Especially when our favorite wedding pros had the honor in sharing in the love all day too. 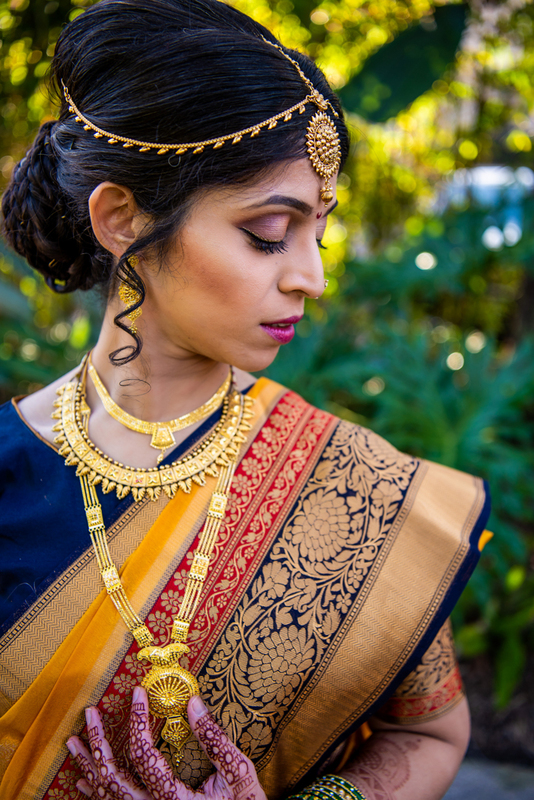 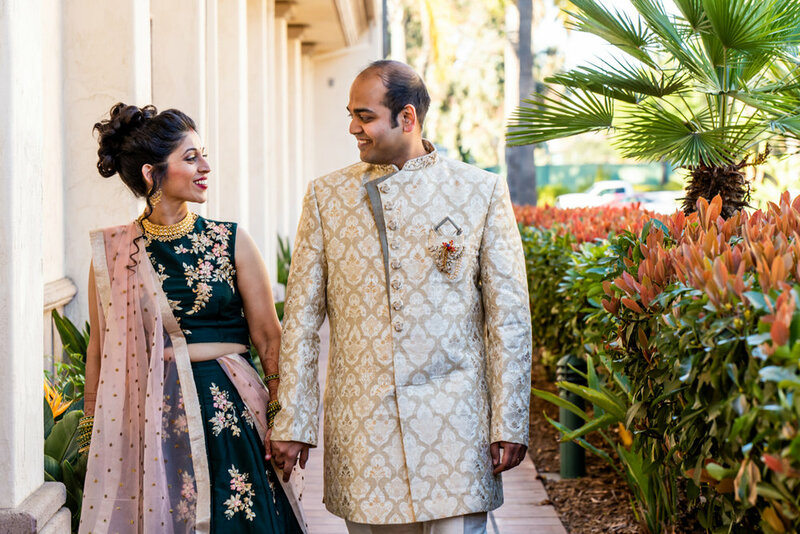 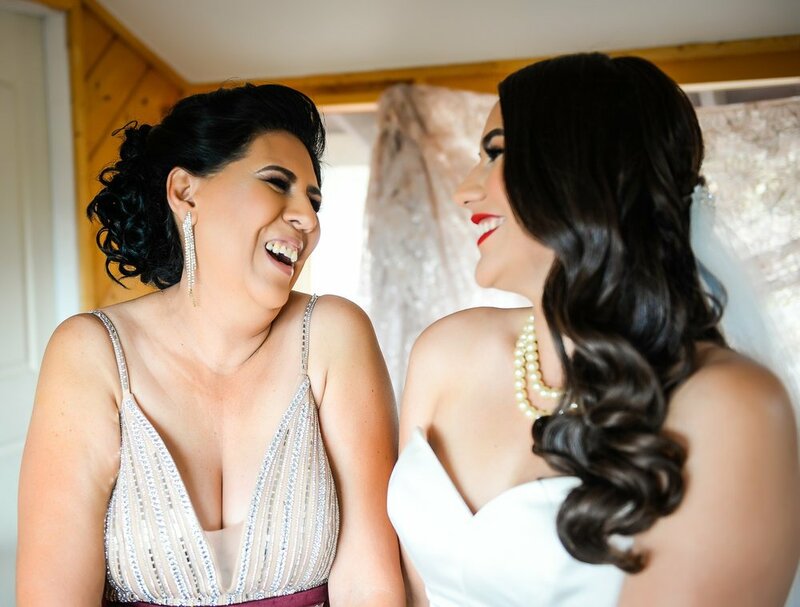 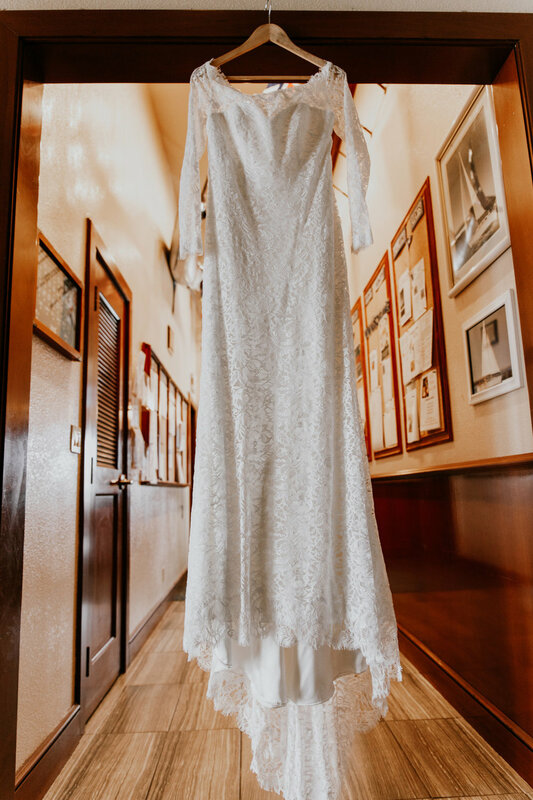 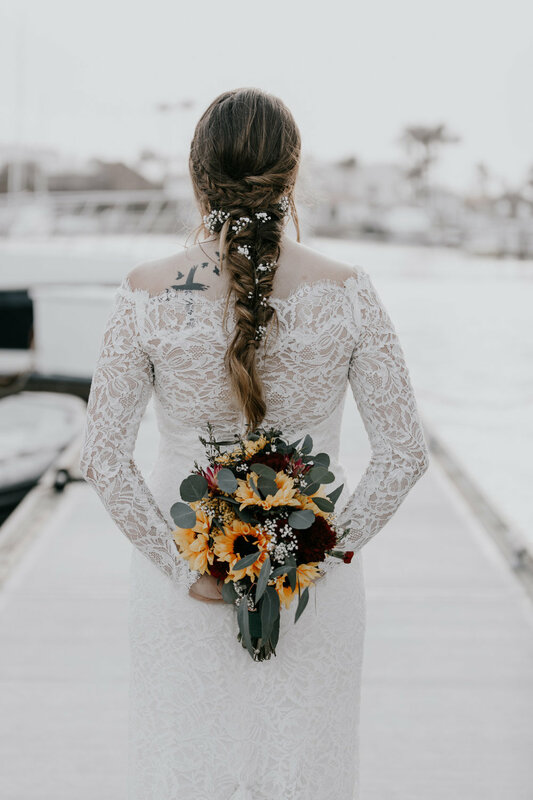 Check out this perfect sunny day San Diego wedding with two people so in love [love their first peek around the corner images!] 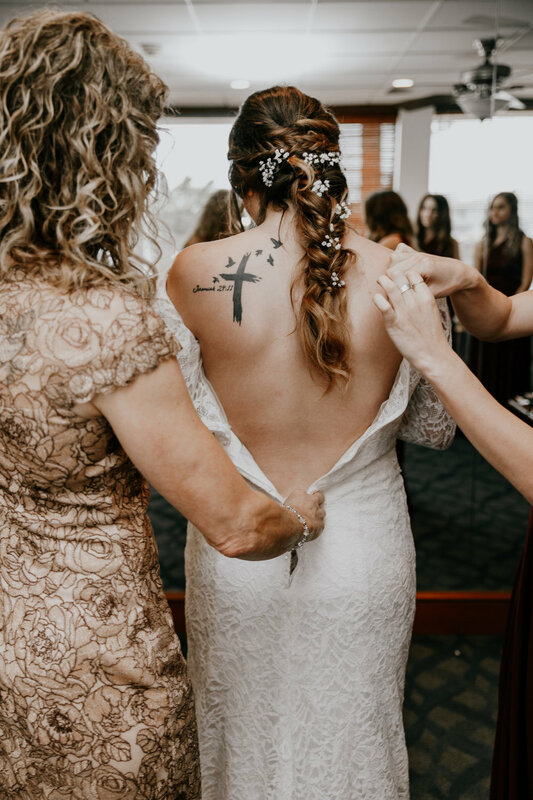 it will make you feel it too! 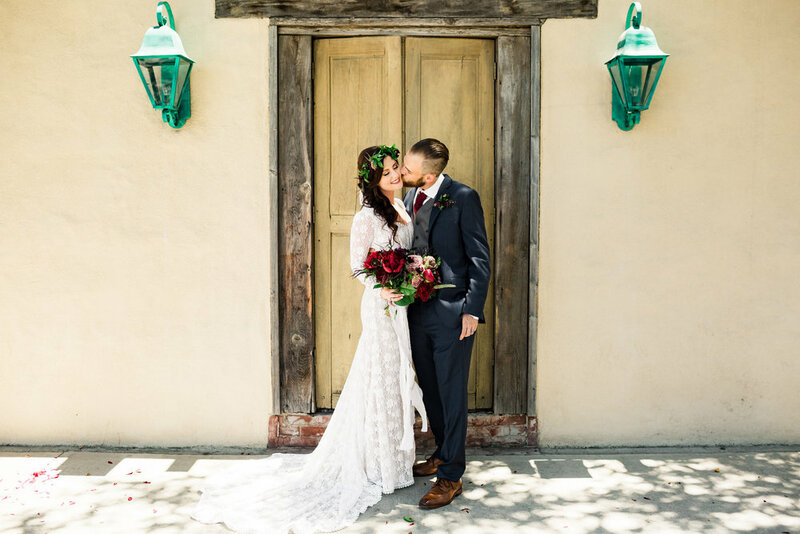 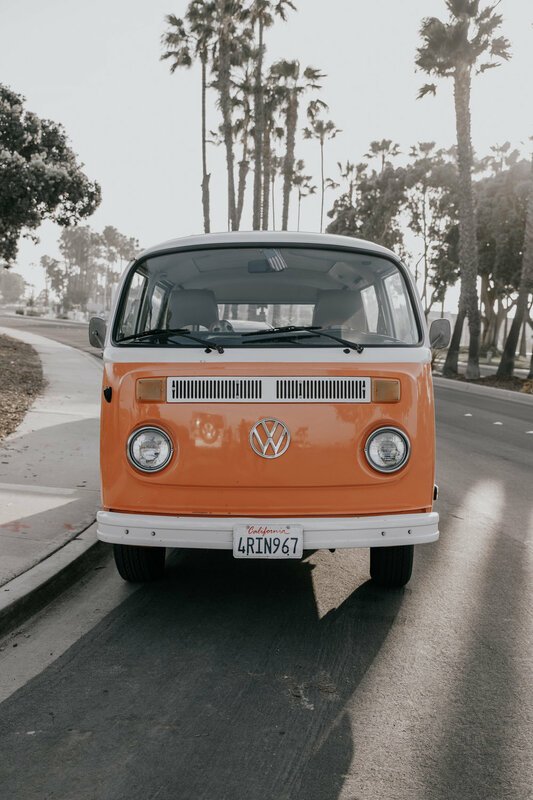 A vintage VW bus, a beautiful, heartfelt serenade by the groom, a movie-like exit on a gondola boat ride… just a few highlights from Son and Karli's charming Coronado wedding. 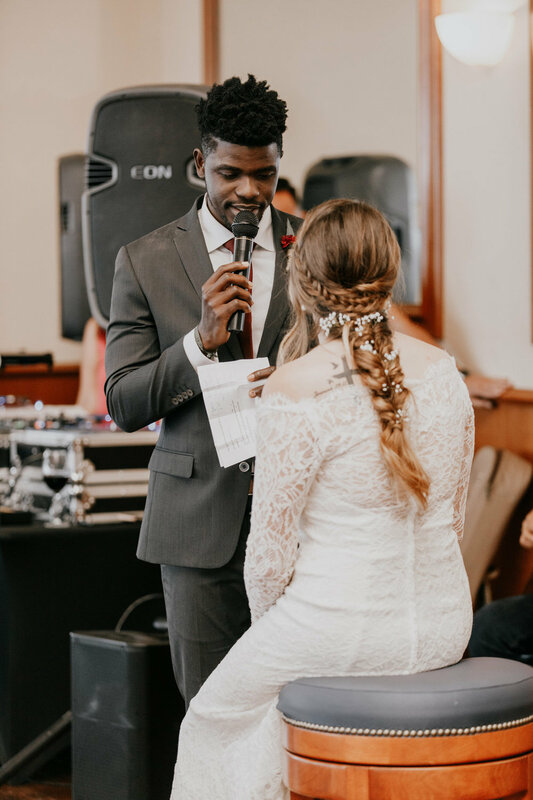 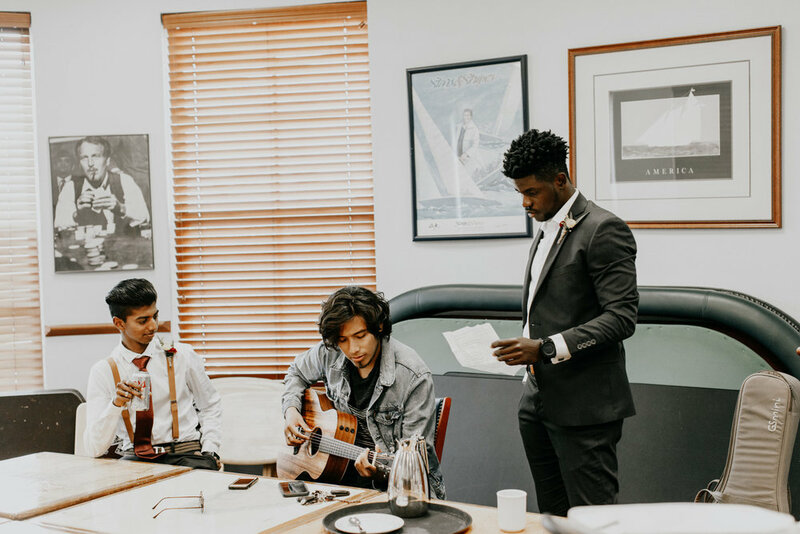 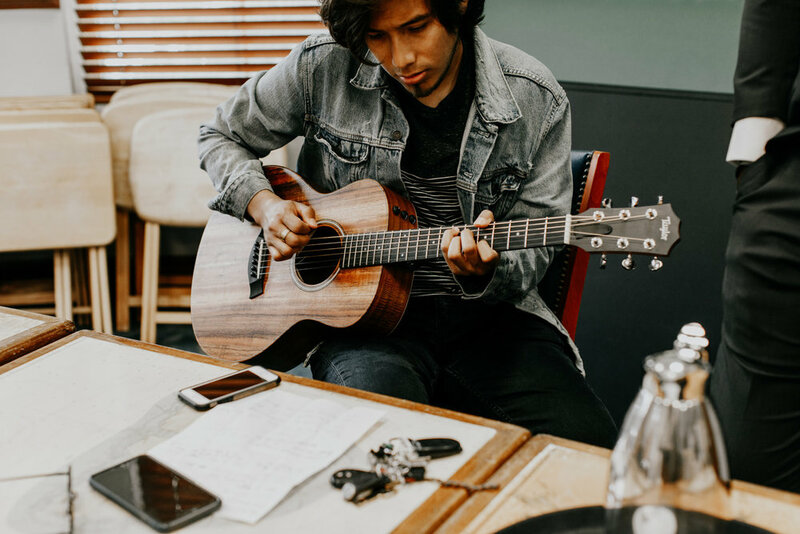 The groom wrote a personal song for his bride, and sang it to her, so you know this was an awesome day overflowing with emotion and spirit! 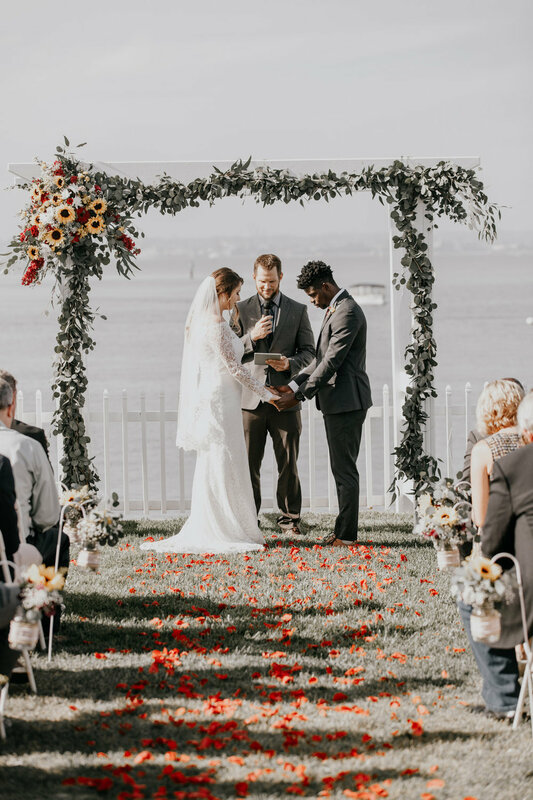 Karli and Son tied the knot overlooking the San Diego skyline and Pacific Ocean at the Coronado Cays Yacht Club, surrounded by family and friends. 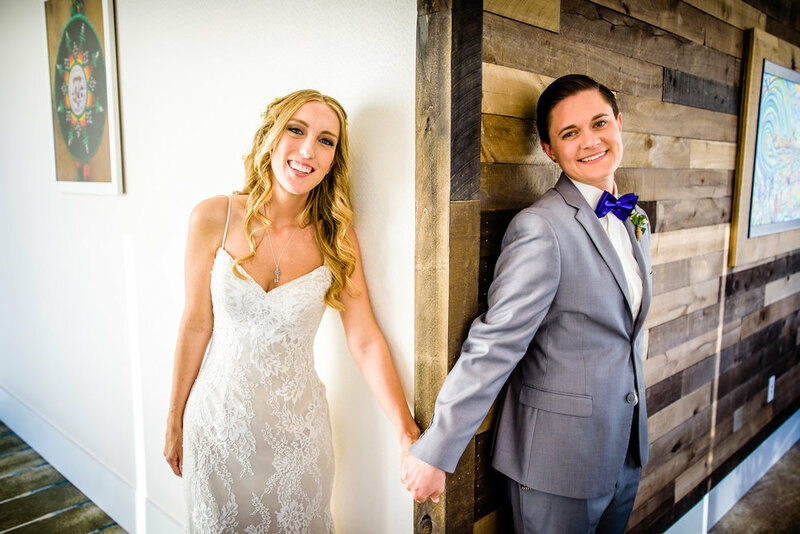 How these two met is also inspiring. 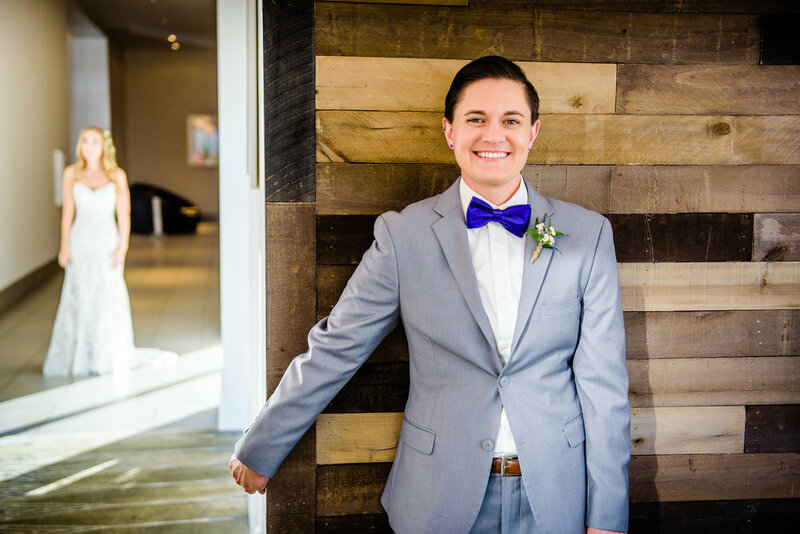 Karli, who grew up in Northern California, became a nurse and full time missionary in Rosarito, Mexico where she met Son who was also working as a missionary. 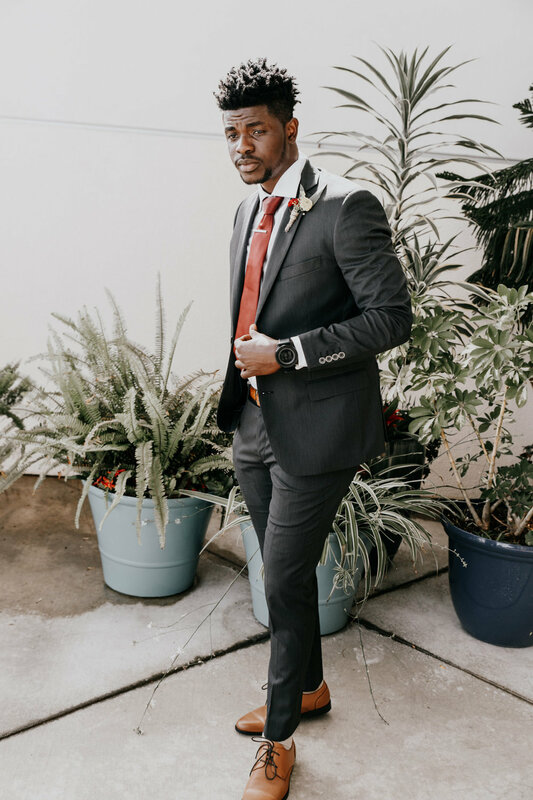 Son was born and raised in Haiti and left to help others here in the states, before being called to Mexico where the two met. 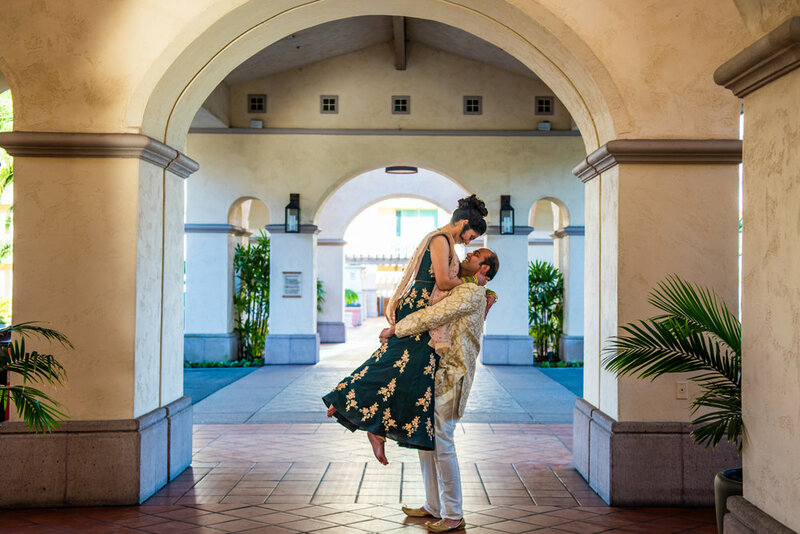 These two love birds ended the night by exiting to a shower of bubbles and confetti leading to the doc where a surprise gondola was awaiting them to take them to their hotel.... that's true love and the island of Coronado for you! 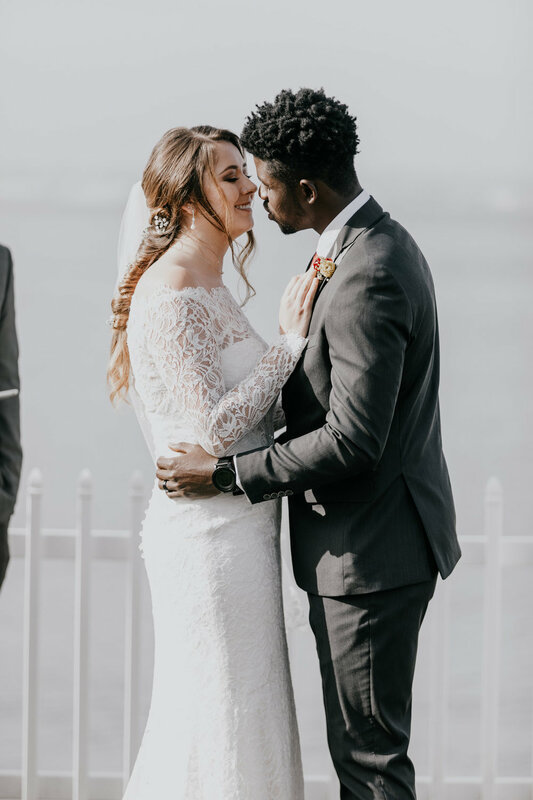 Watching a couple laugh and genuinely care for one another the way Karli and Son do is so inspiring. 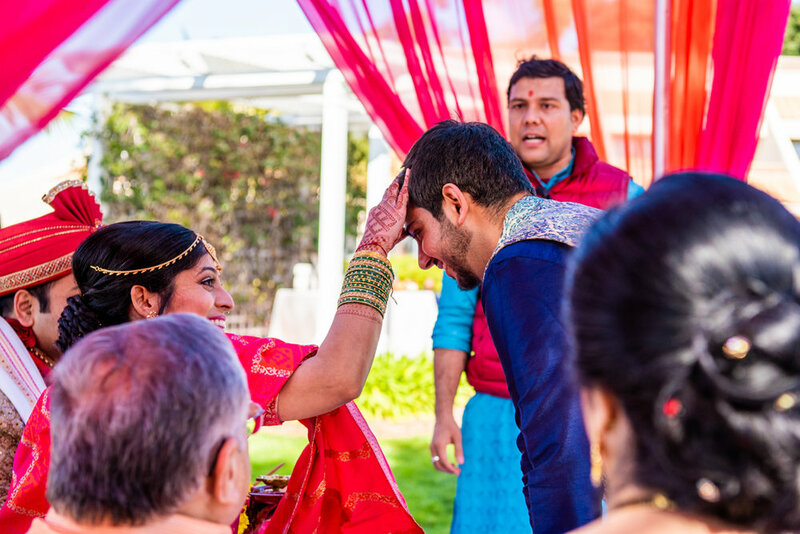 Here’s a look at a few of the moments that made up such an eventful day filled with love and friendship. 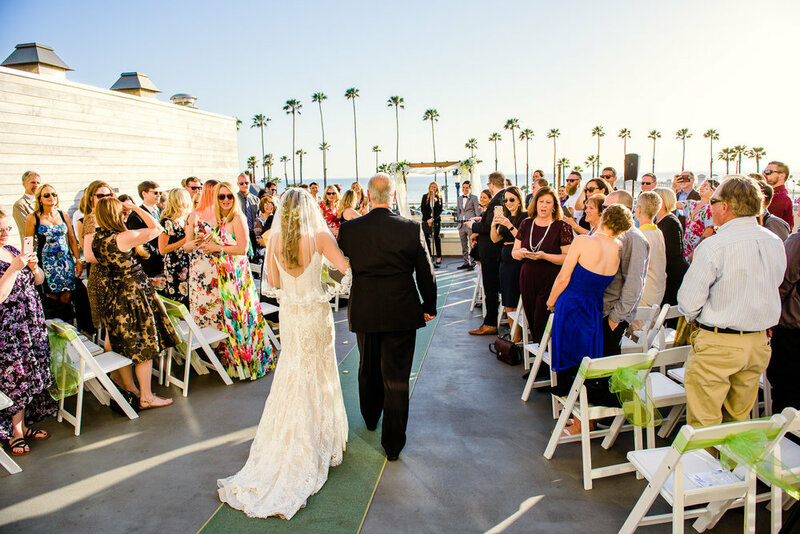 Rich in history, the Coronado Cays Yacht Club upholds the highest traditions of the Yachting spirit. 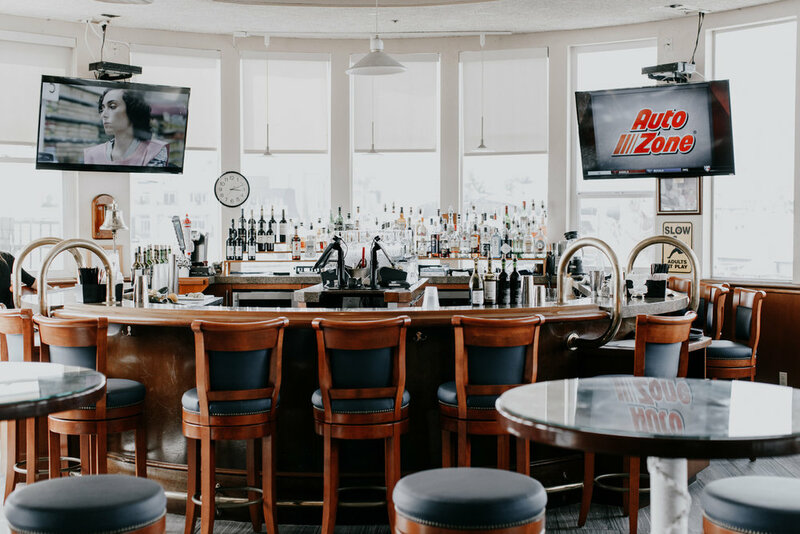 Established in 1972, the Club has gained a reputation for warm hospitality. 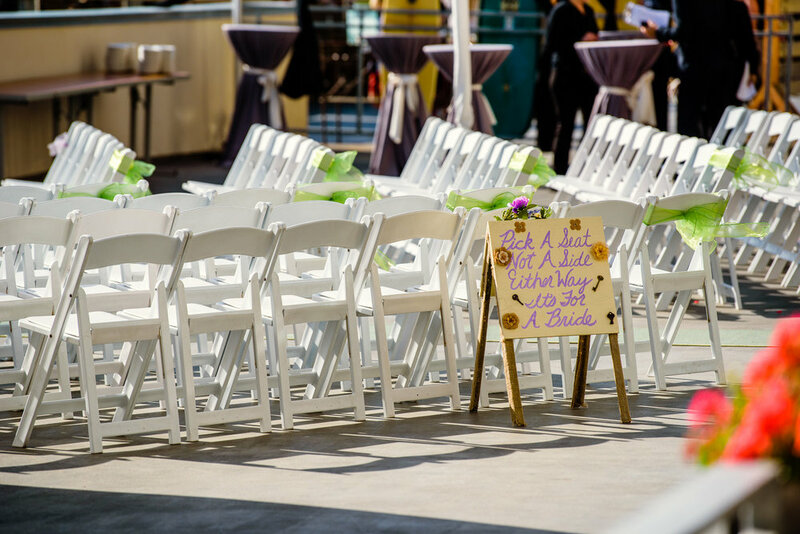 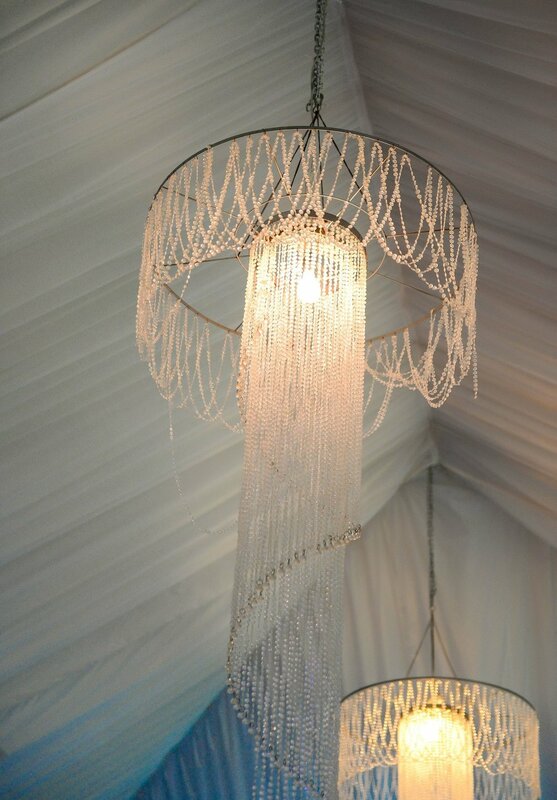 Members and guests value and respect this tradition of excellence; a gathering place for avid boaters, it is also one of Coronado Cay’s most prestigious social venues. 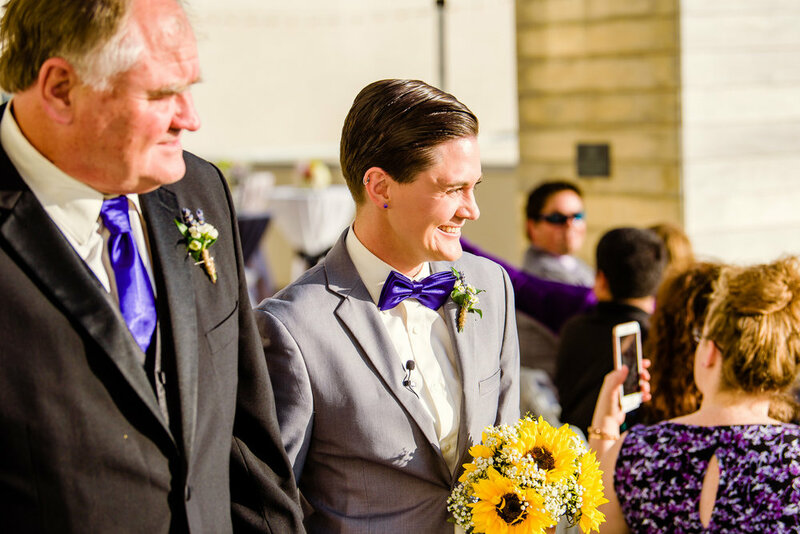 Take a moment and look at this video and think of the thousands [up to even tens of thousands!] 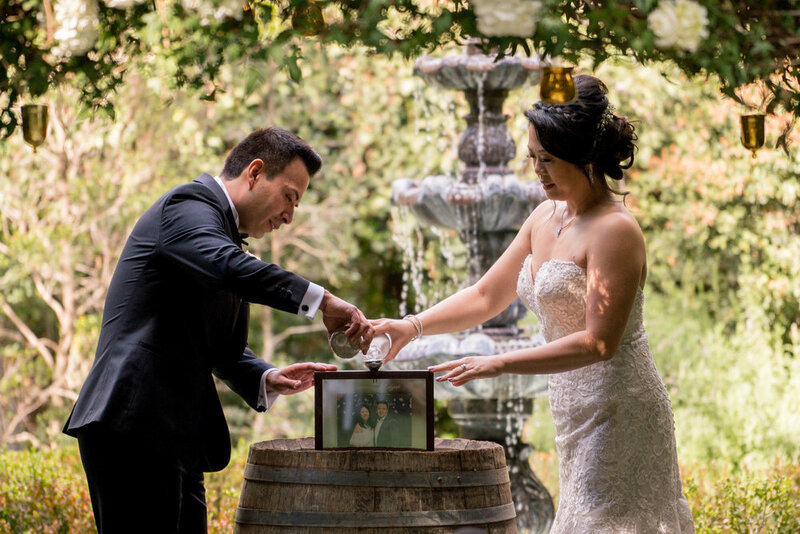 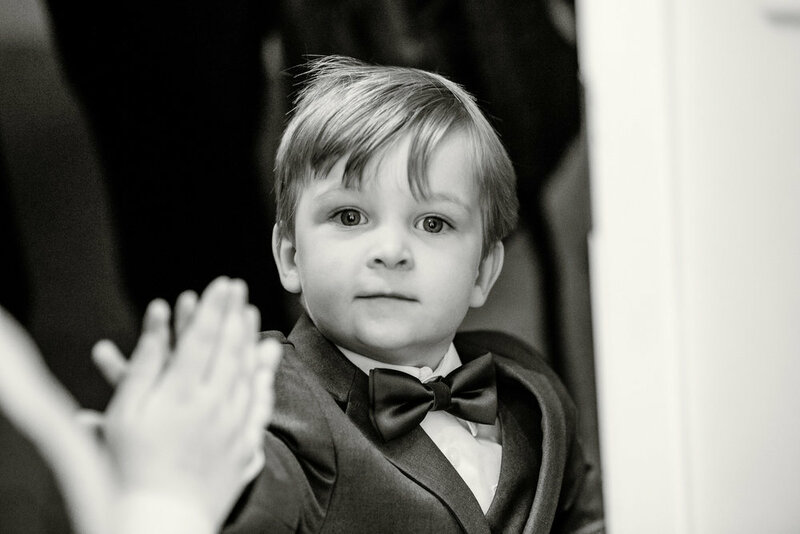 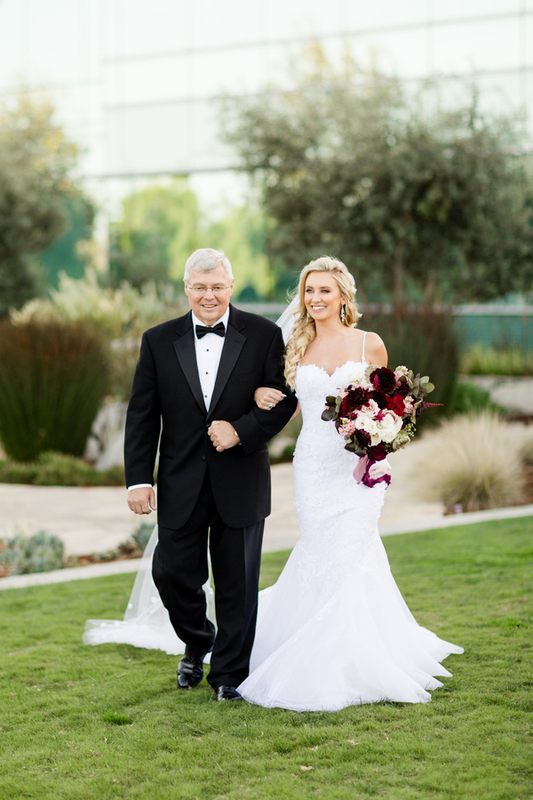 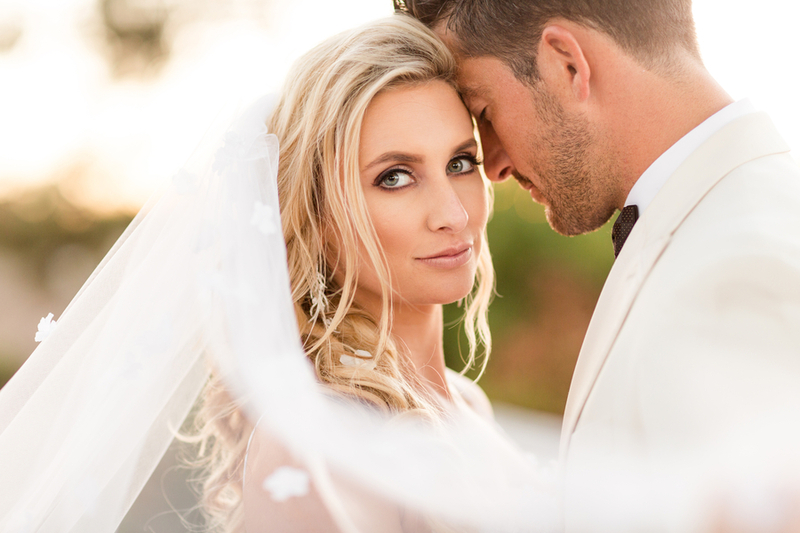 of frames of photos and moments that a great wedding video like this one brings together. 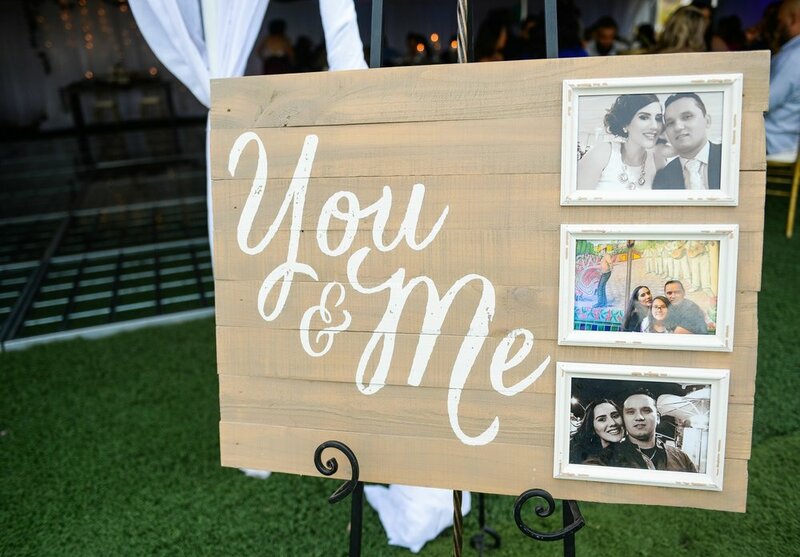 You know we love photos! 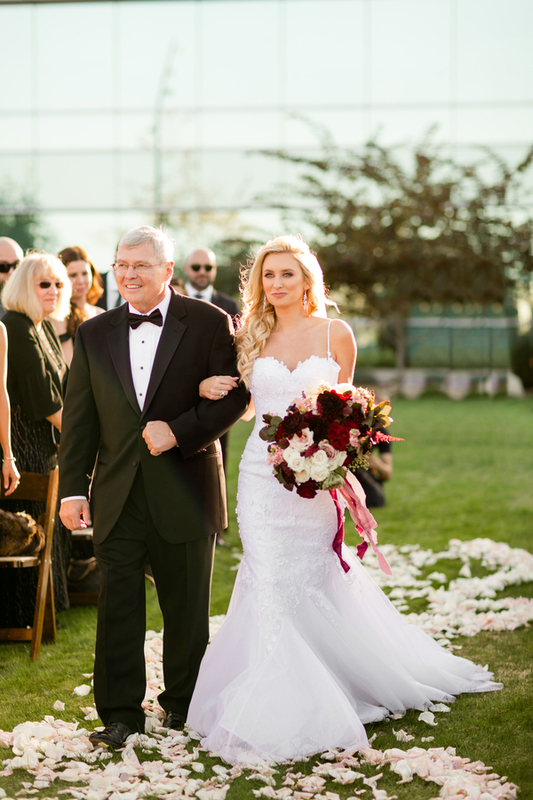 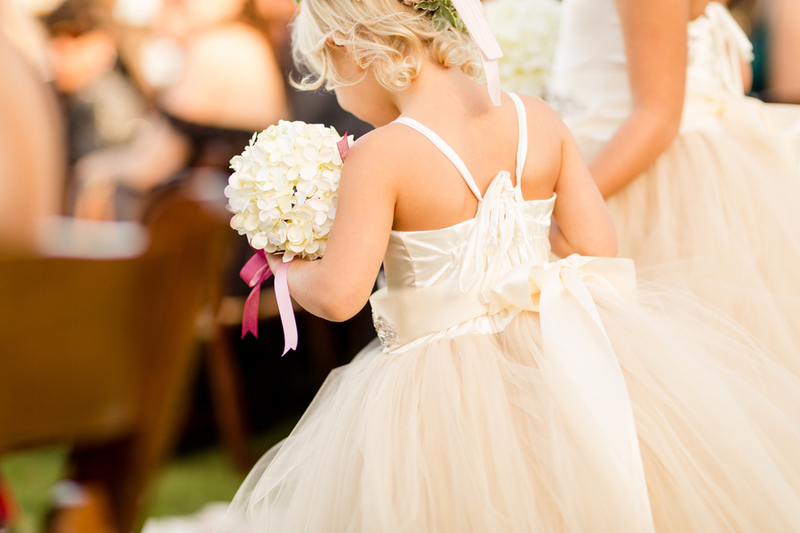 Especially wedding photos - but take a second to play this wedding video by Stockham Media. 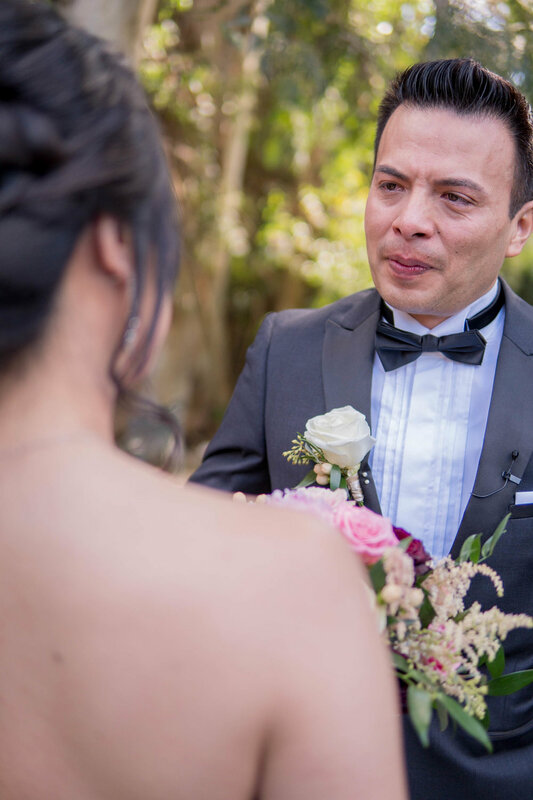 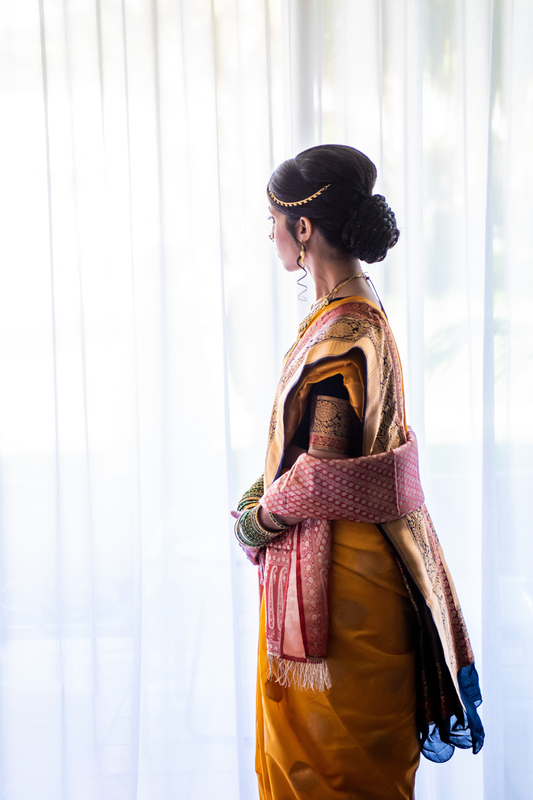 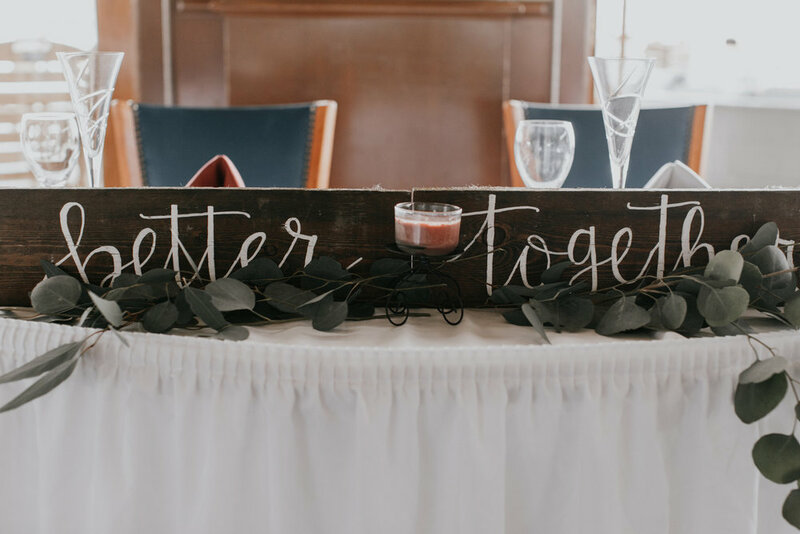 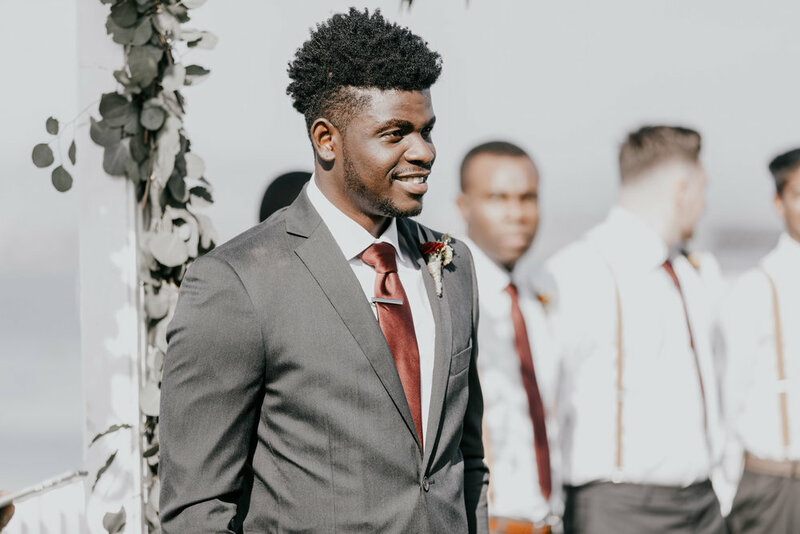 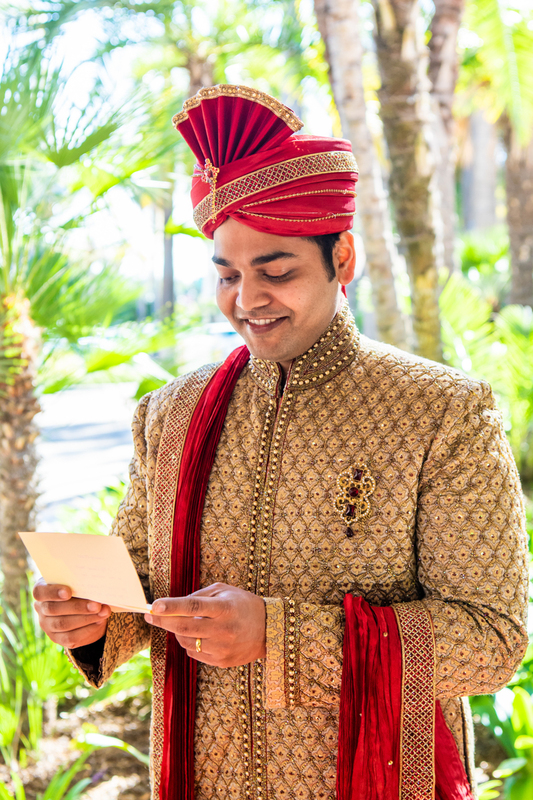 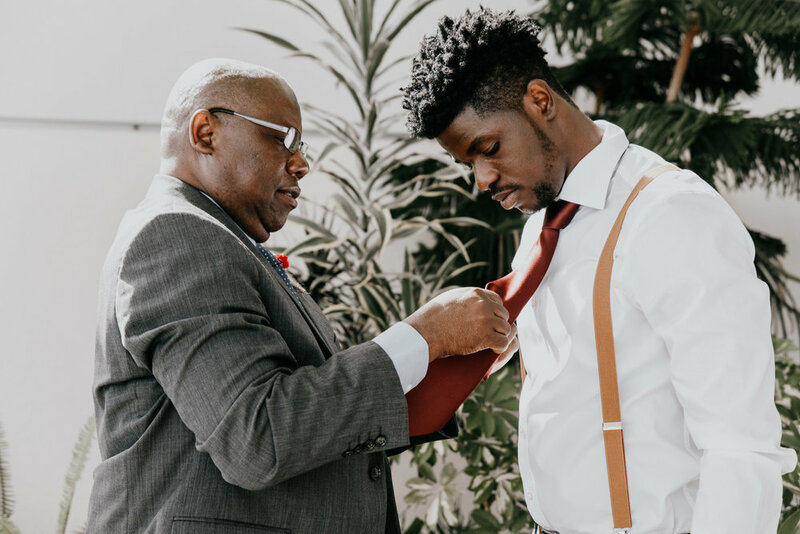 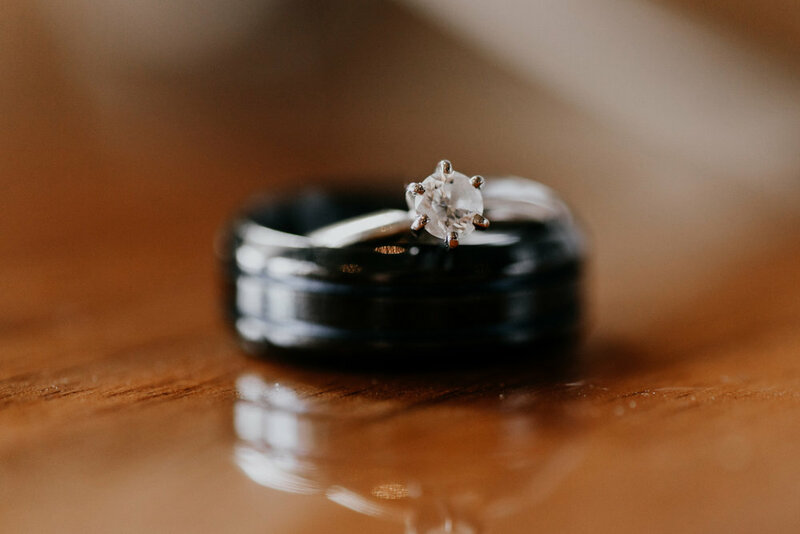 Listen to the beautifully spoken vows, hear the subtle intake of breath as the groom is overwhelmed by emotion, and join in the guests' laughter as the bride make a sweet little joke in her vows. 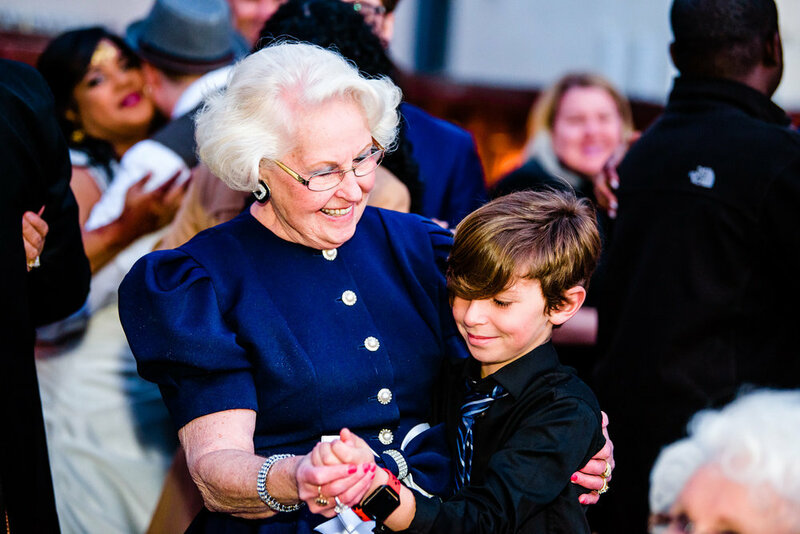 This is something that your grandkids will watch over and over and cherish forever. 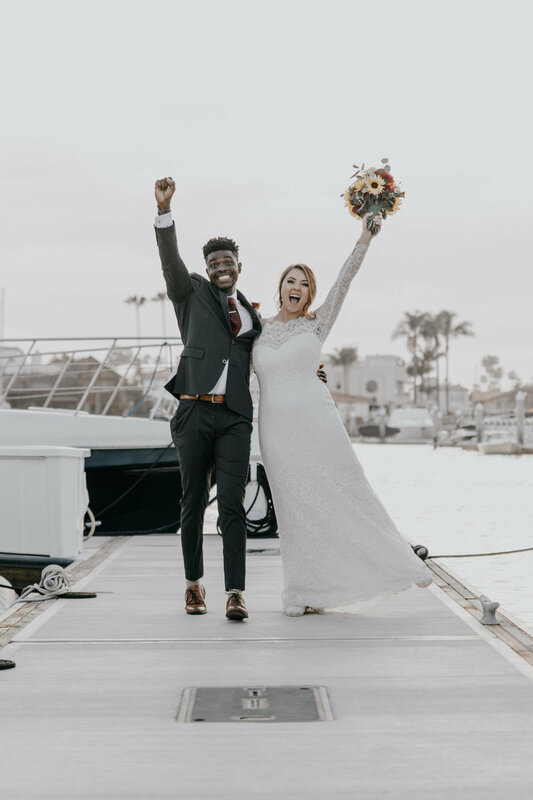 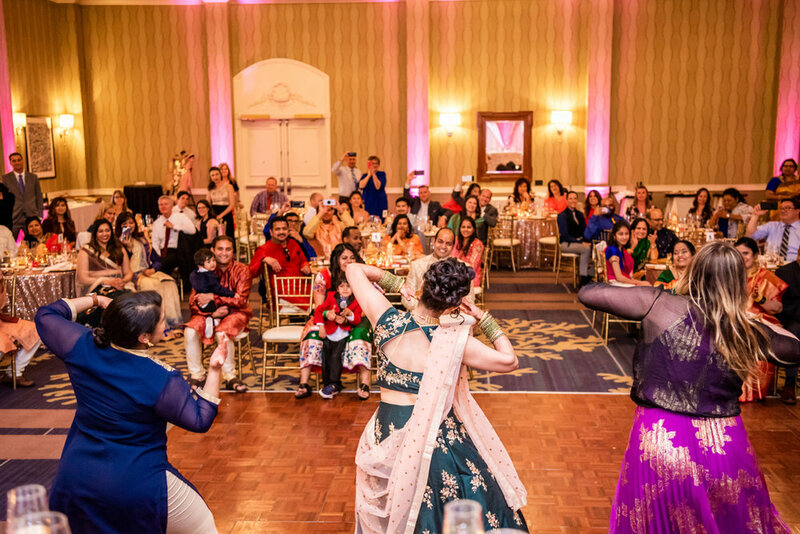 Thanks to the creative team at Stockham Media for bringing us into the heart of the day with all the sights and sounds and feels that an amazed wedding guest experiences!